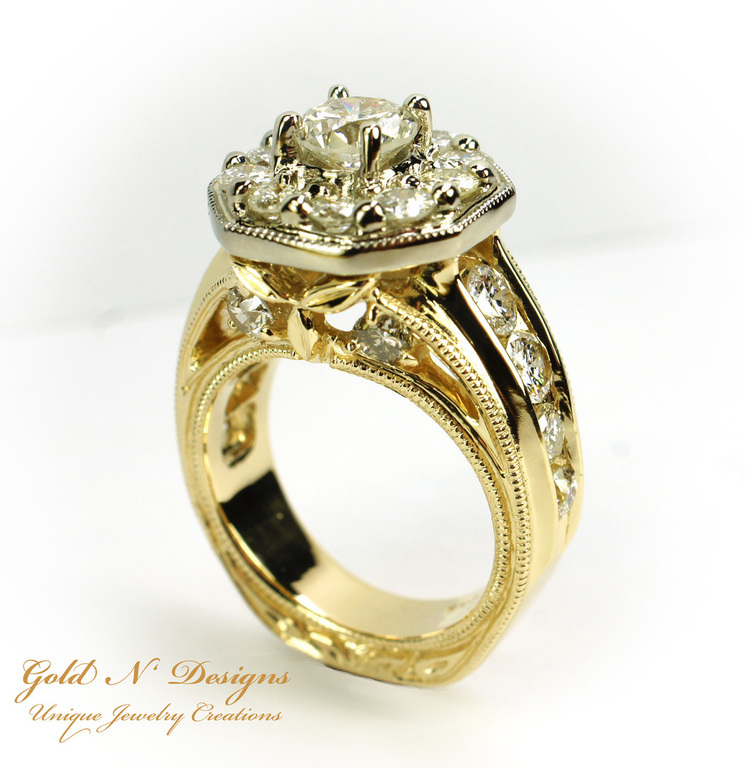 A Custom Jewelry Design and Jewelry Repair Workshop. 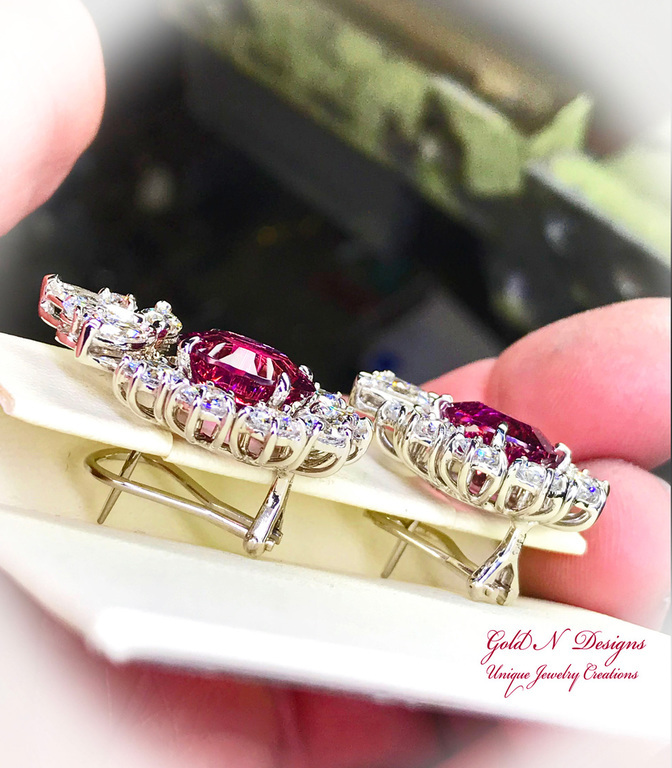 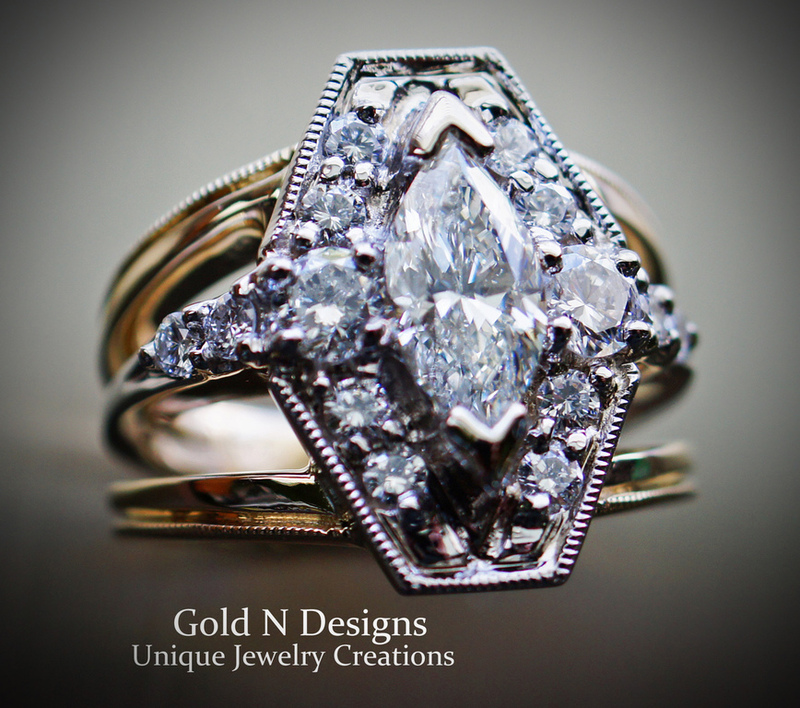 A Jewelry Studio that does it all, from the beginning design to casting and Fabrication to Stone Setting and the Finishing Work. 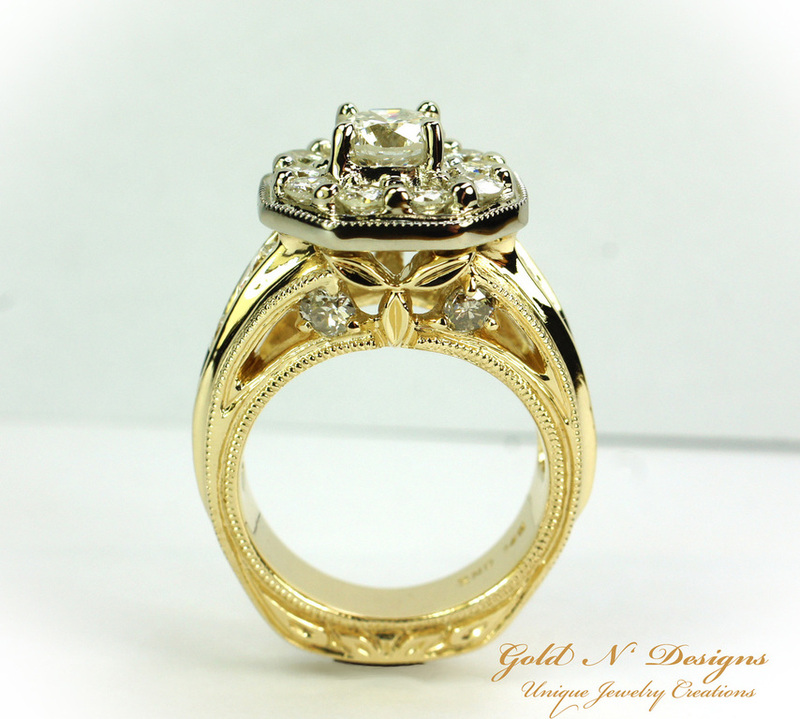 We also Repair and Restore all types of Jewelry. 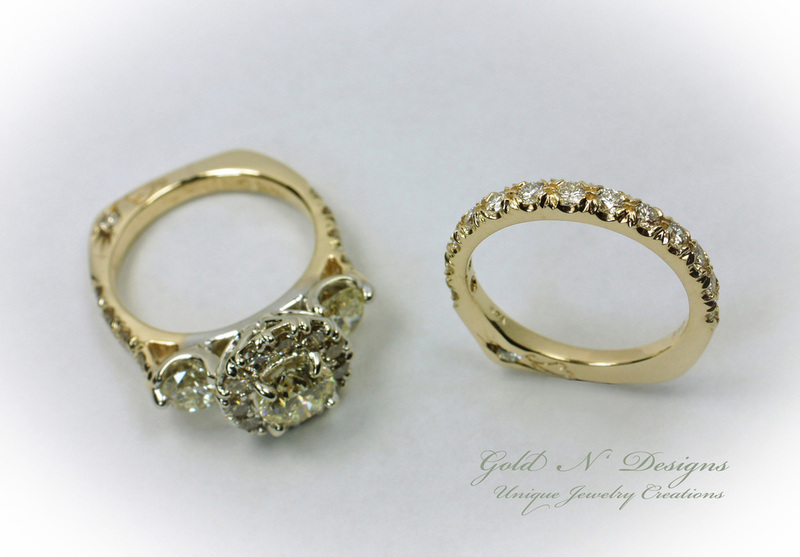 All of the Work is started and completed in our Jewelry Studio. 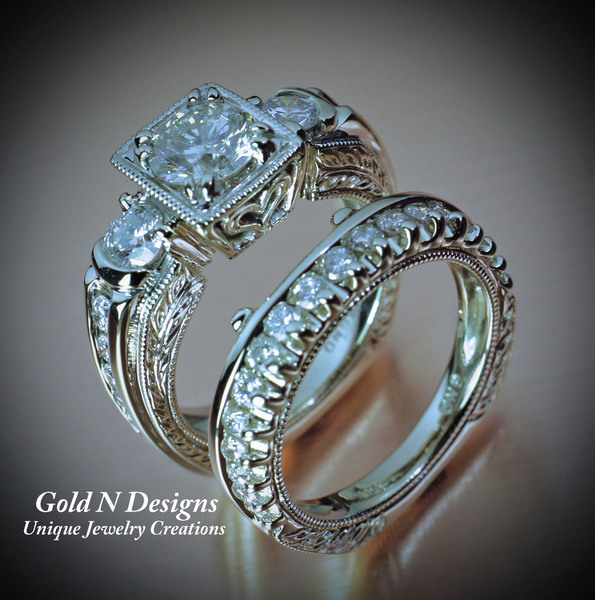 The Types of Work We Do, Click Here. 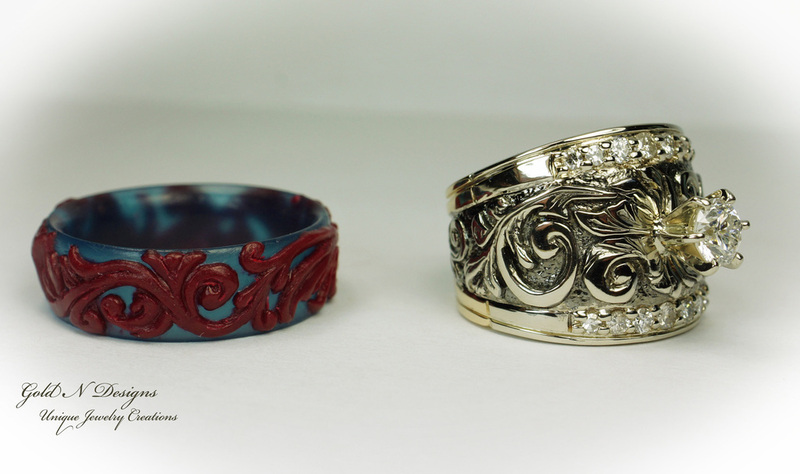 A Husband and Wife team. 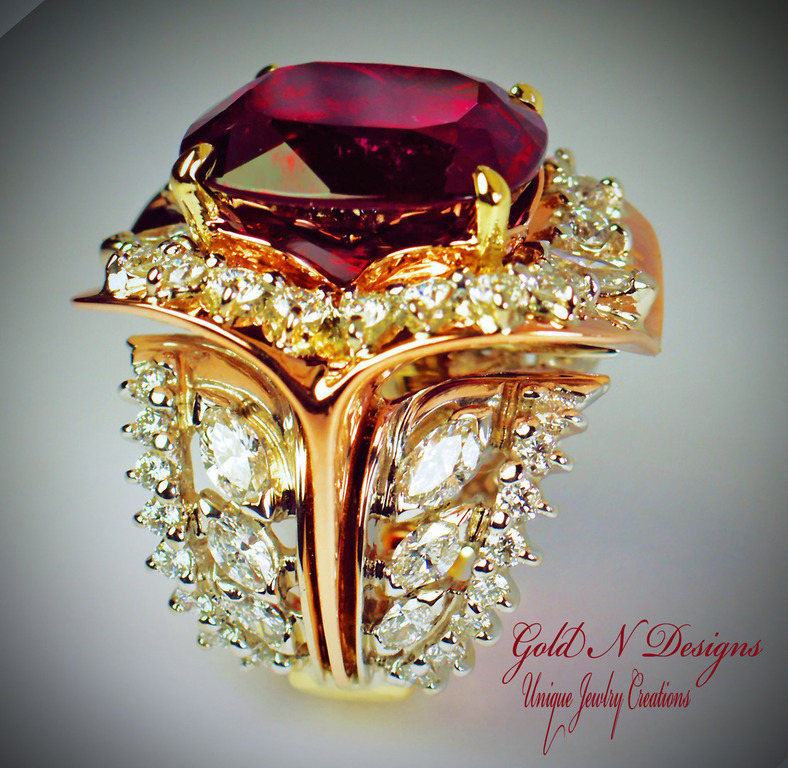 We both have a strong Passion for Superb Craftmanship and Outstanding Design. 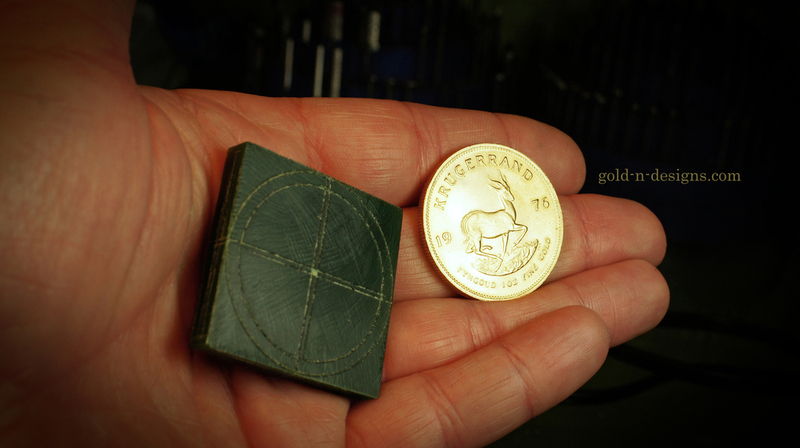 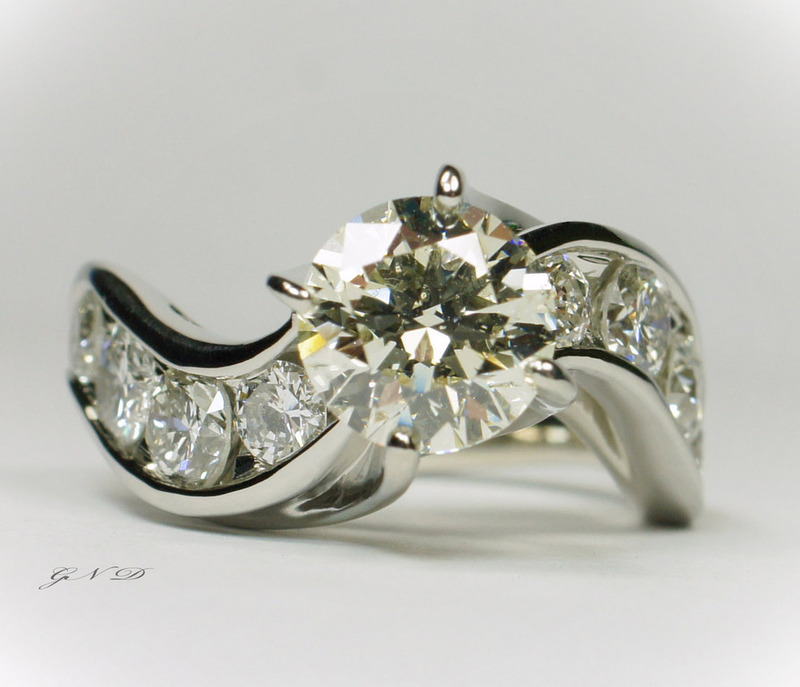 Choosing a Craftsman as Your Jeweler is an Excellent Value for your money. 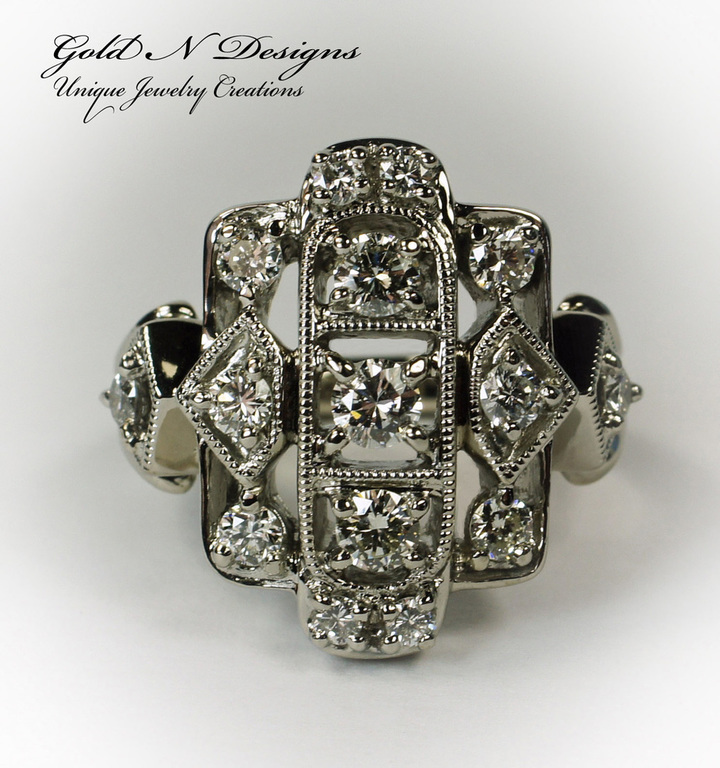 We have ‘Hands On’ experience and knowledge in the art of Jewelry Making and Repair. 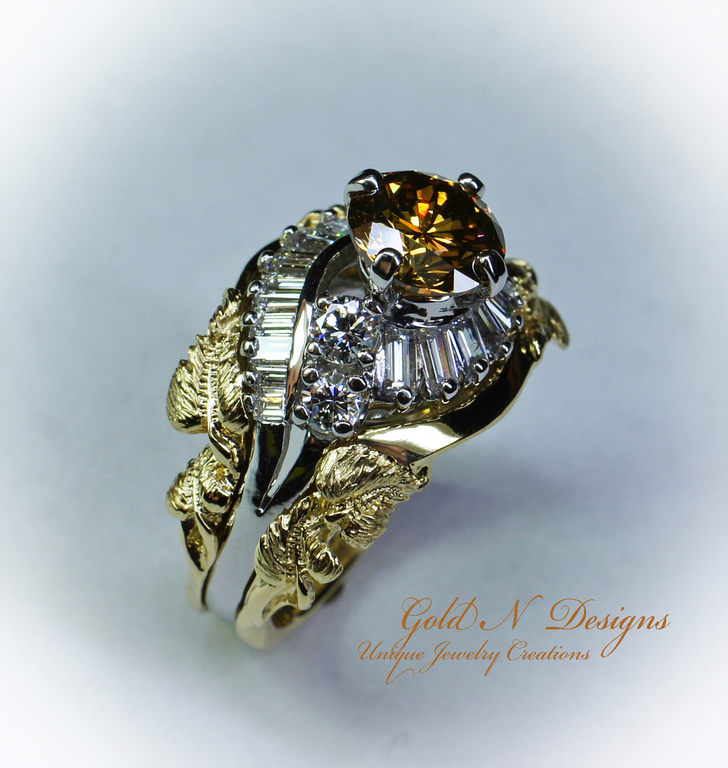 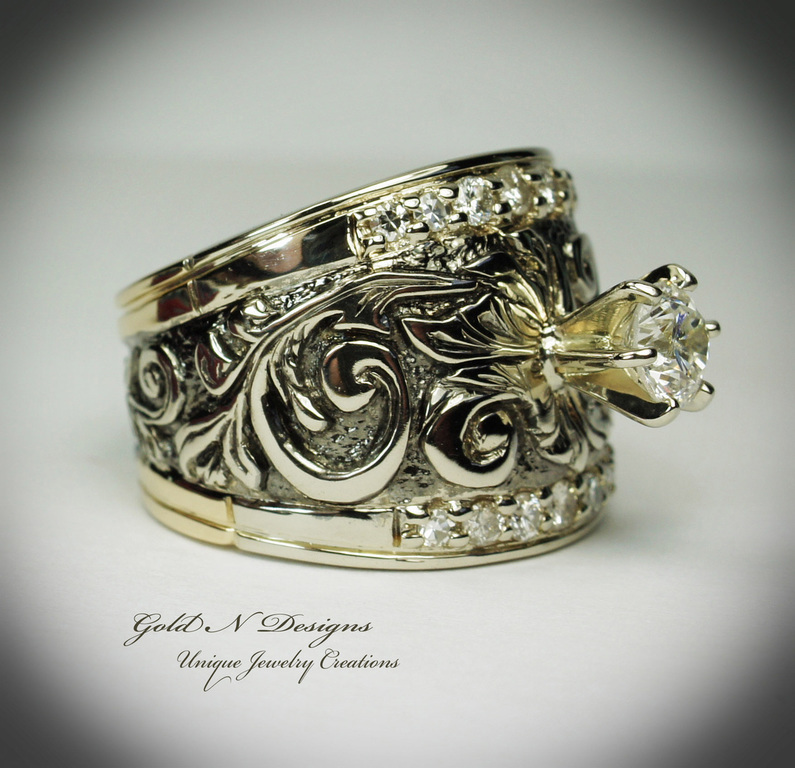 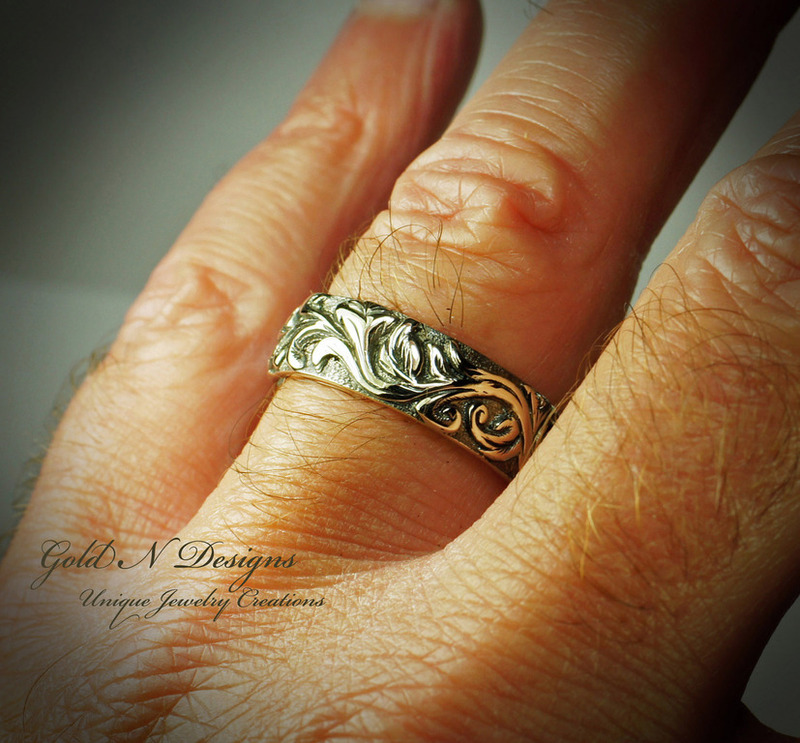 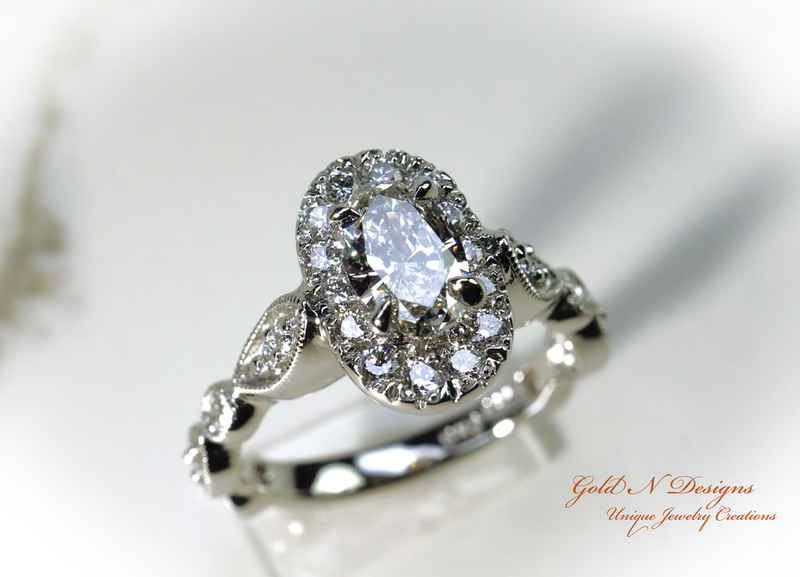 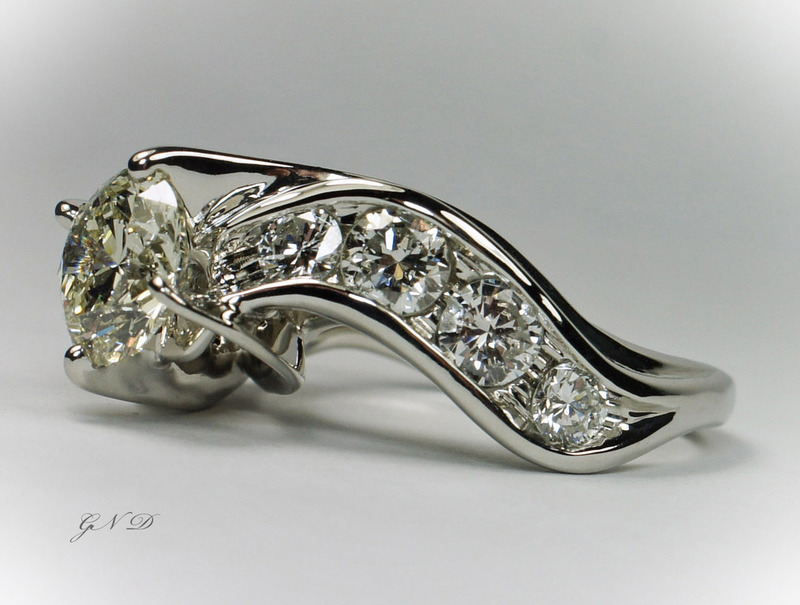 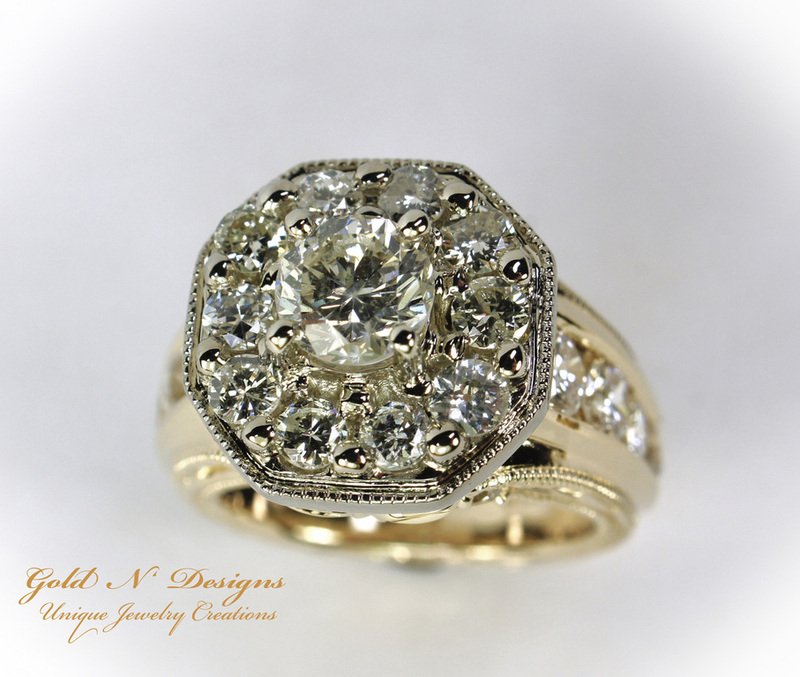 35 years expertise as a Custom Bench Jeweler and Jewelry Designer. 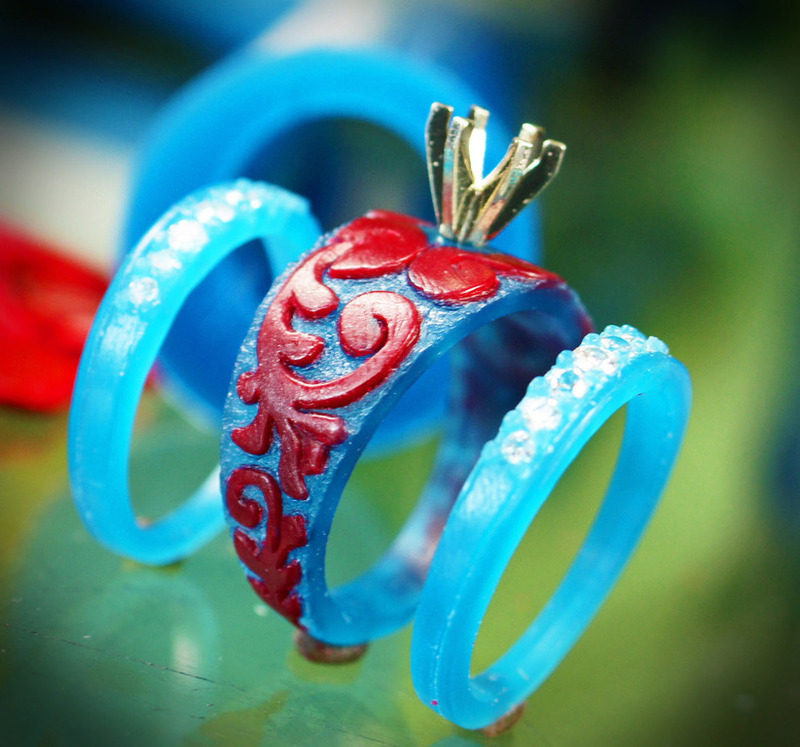 We can use your materials ie. 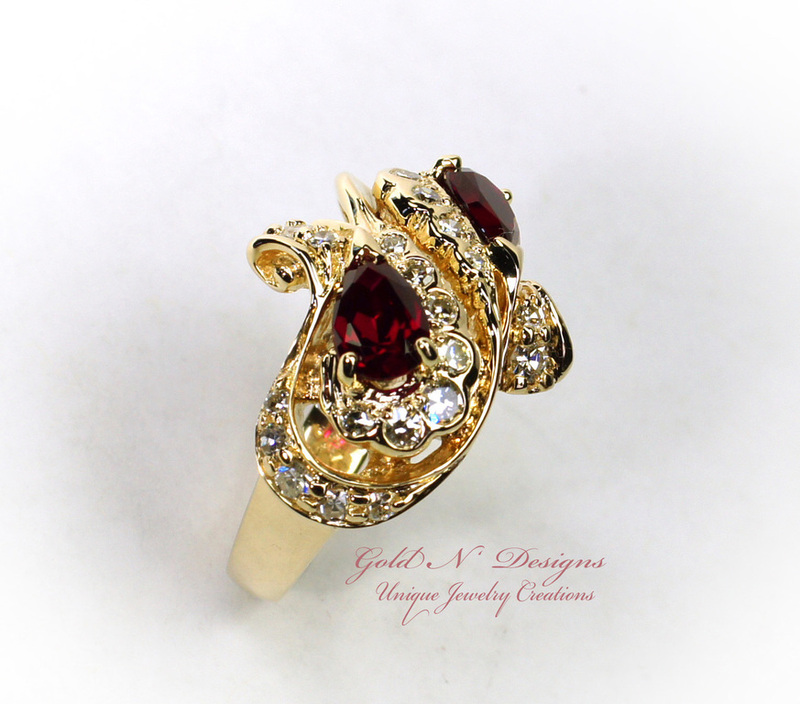 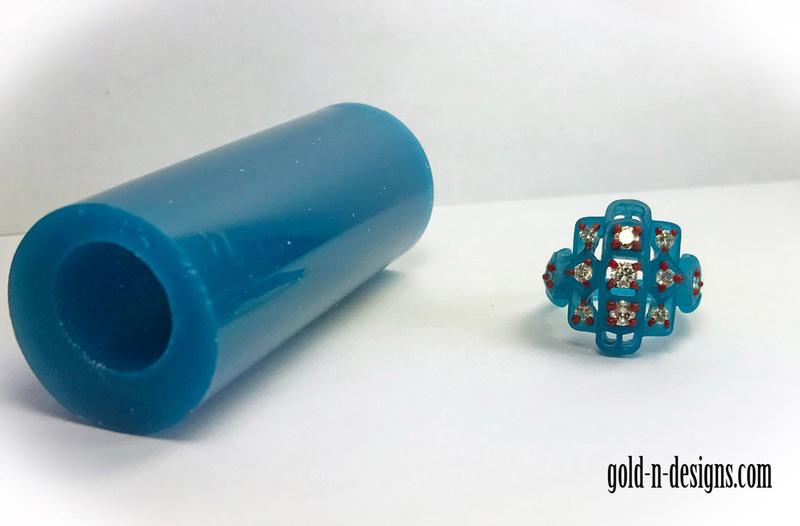 Gold, Diamonds, Gemstones in the New Unique Jewelry Creation or Repair work. 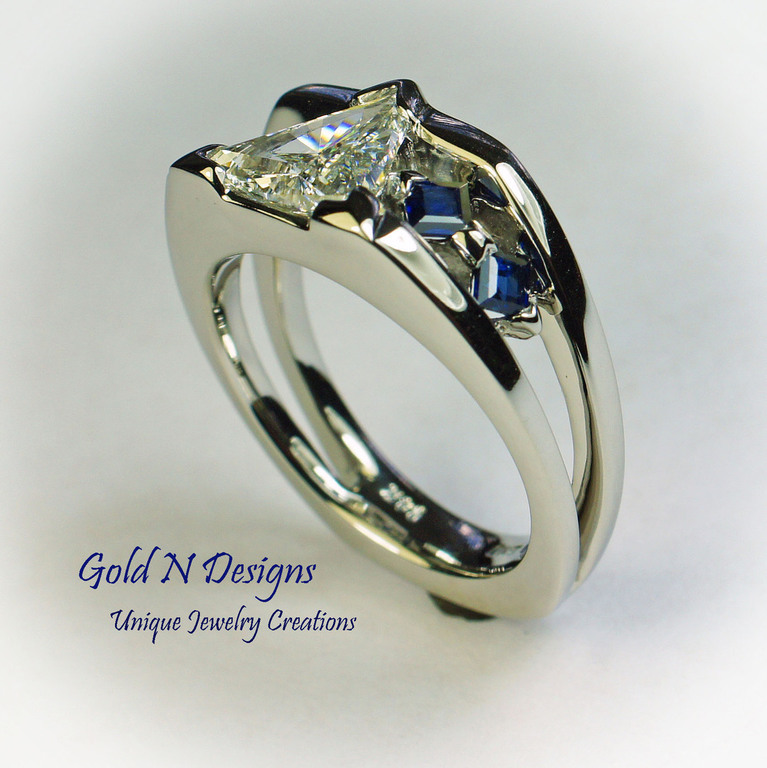 The value of that Unique service we provide can save you the expense of new materials. 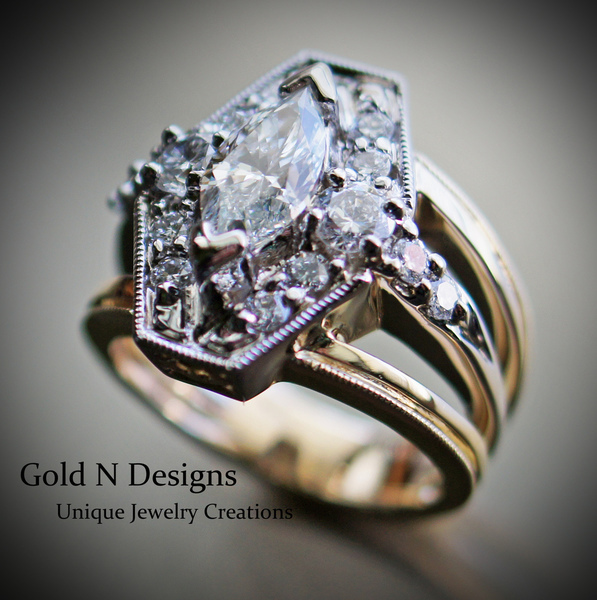 We have demonstrated consistent high quality workmanship and have a long history of projects that were a success with our clients. 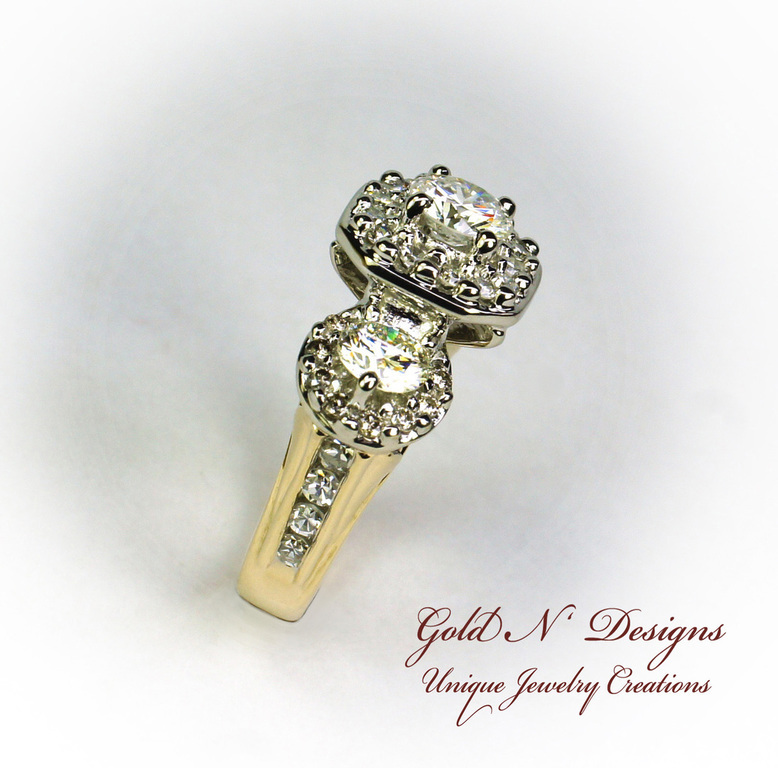 We maintain a reputation of quality service. 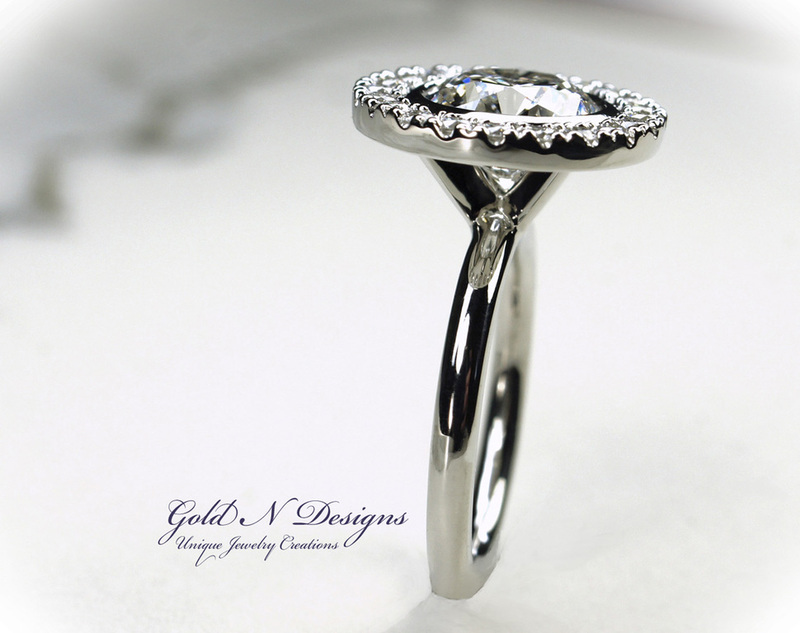 Our communities support and trust is genuinely treasured. 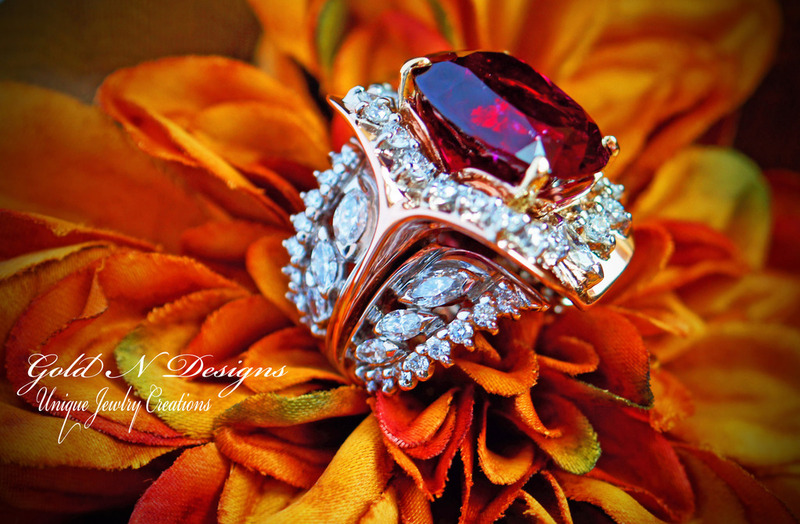 We assure you that your precious and valuable items are in the hands of Expert Skilled Artisans. 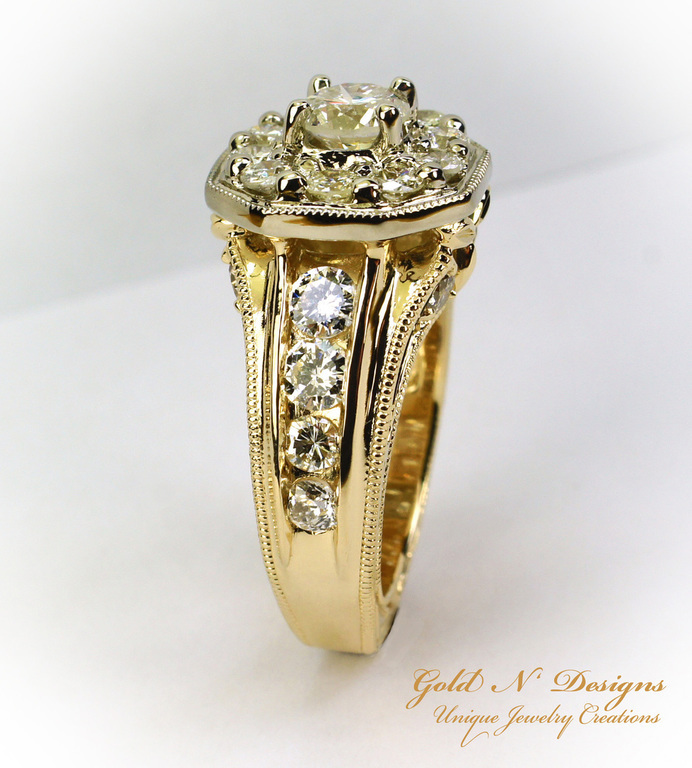 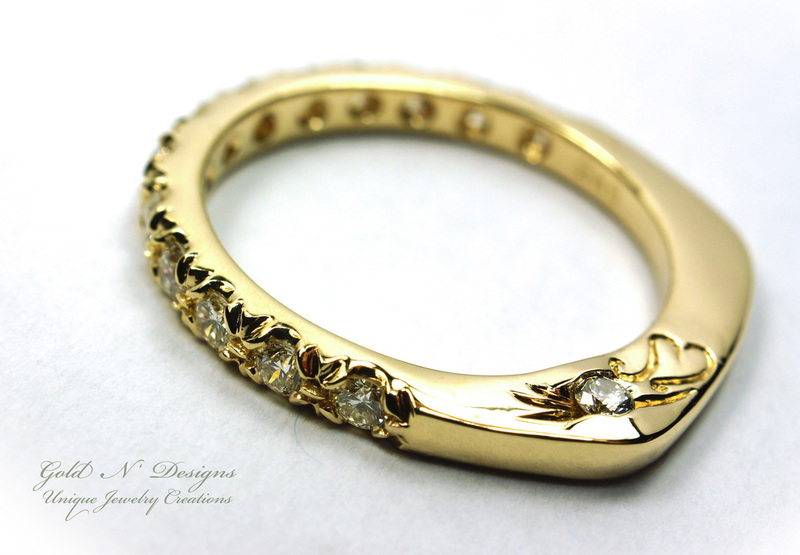 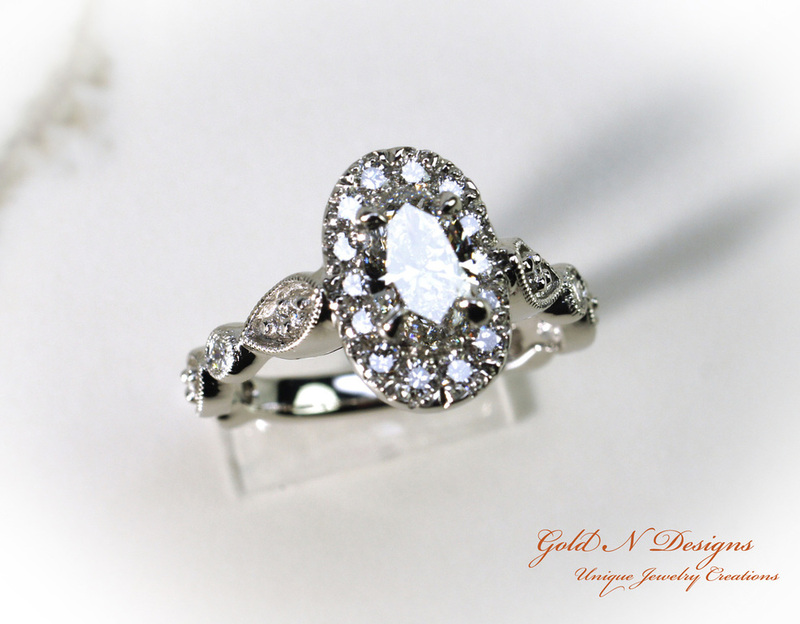 This One of a Kind Engagement Ring was client commissioned using Diamonds and Gold from a ring of Her mothers as well as Diamonds and Gold from a ring of His mothers. 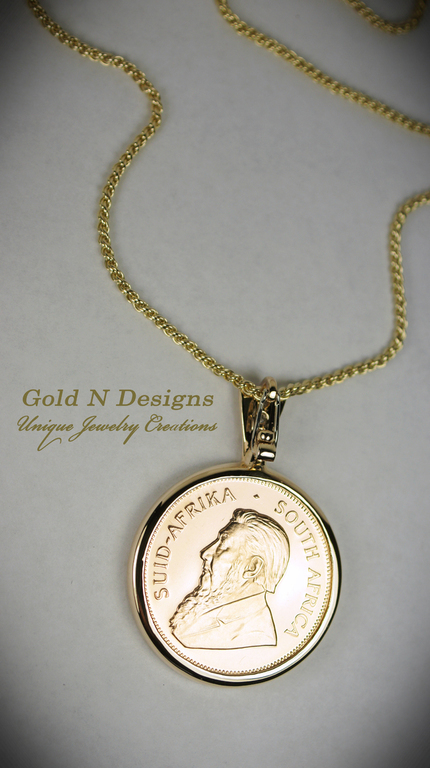 You simply can not put a value on that kind of sentiment. 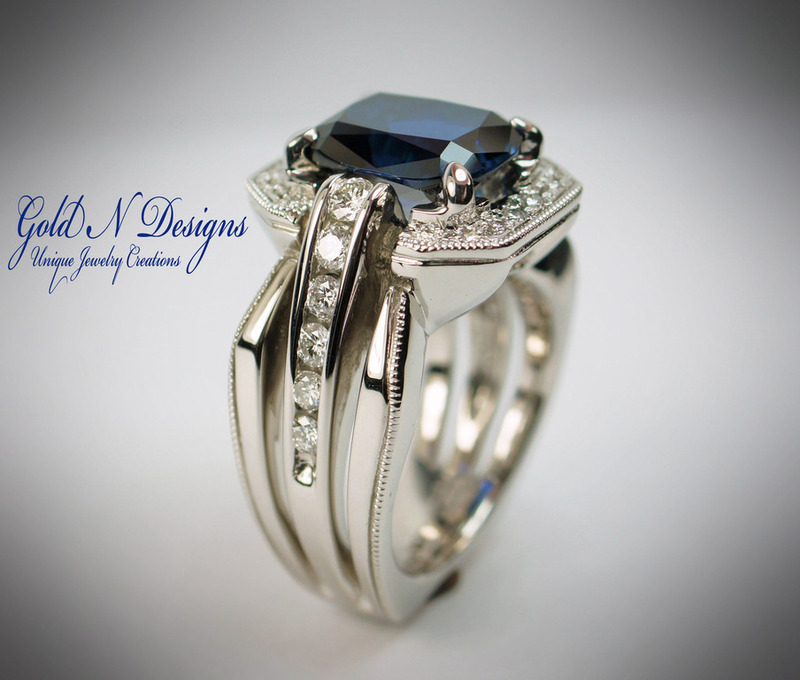 Truly built with Love! 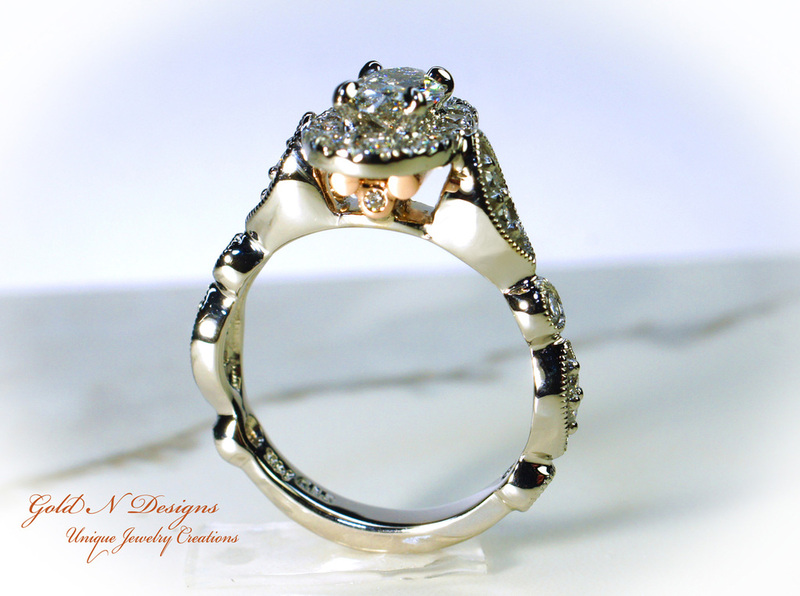 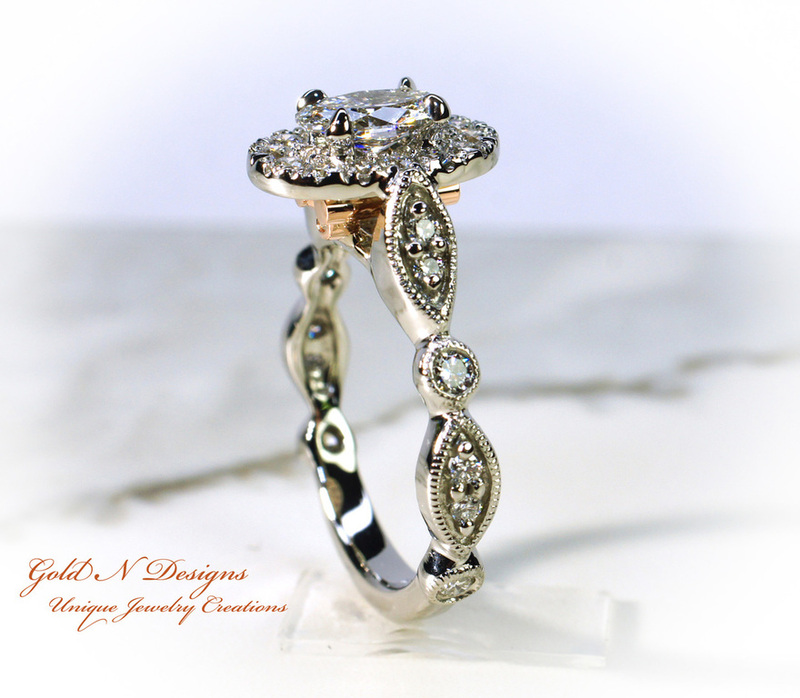 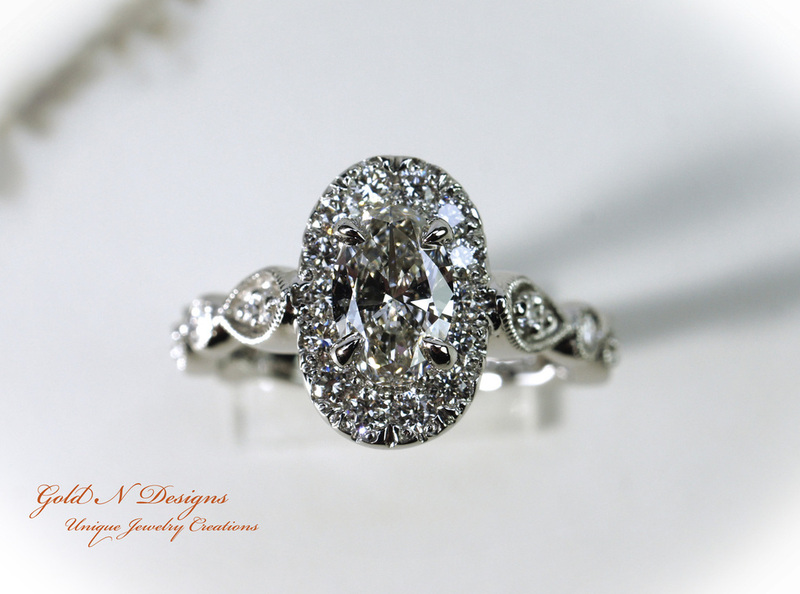 A Dream Ring Designed and created for a Clients Wife. 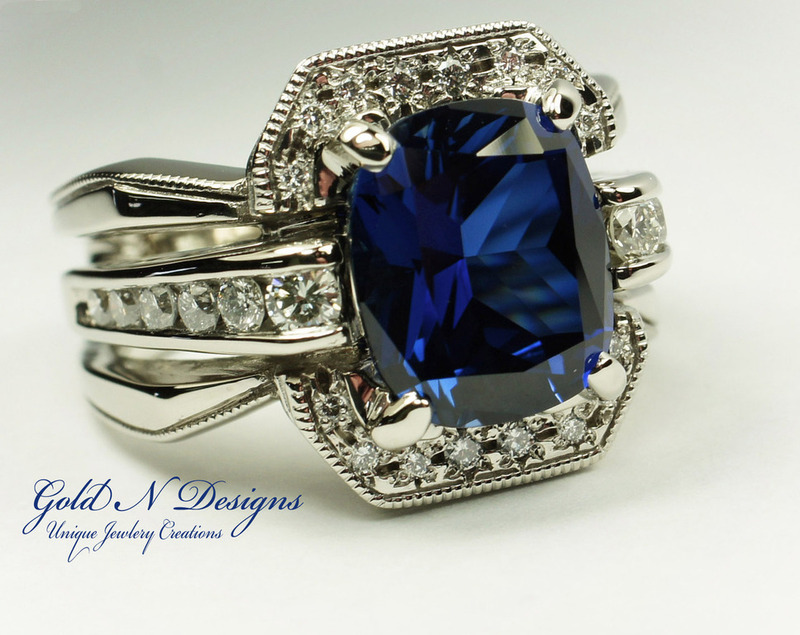 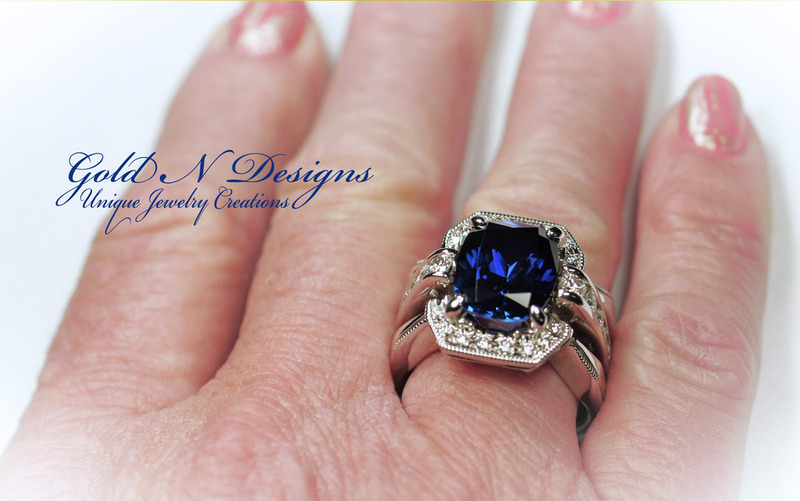 A Beautiful 6.72 carat Antique Cushion cut Blue Sapphire accented with a Carat of Superb Brilliant cut White Diamonds. 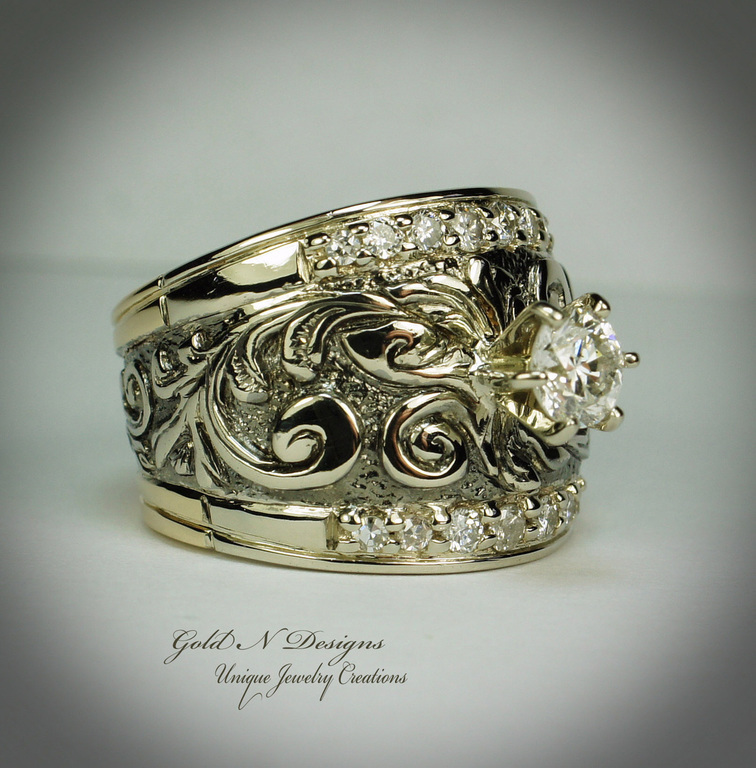 We loved making this ring. 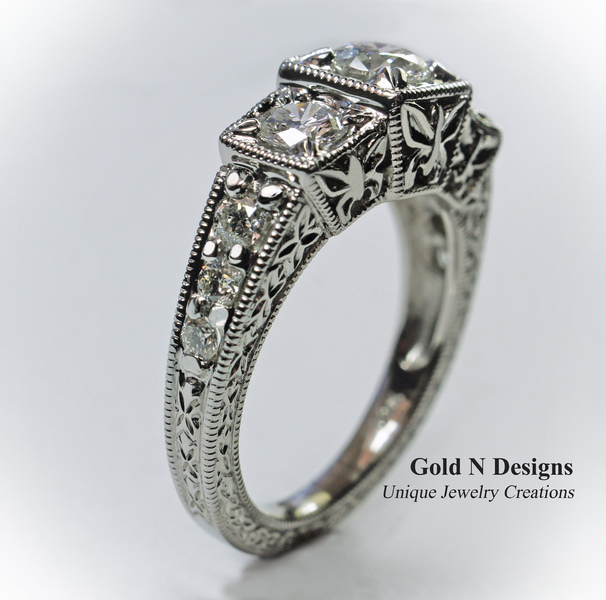 A Unique Ranch Brand was the theme of the design inspiration. 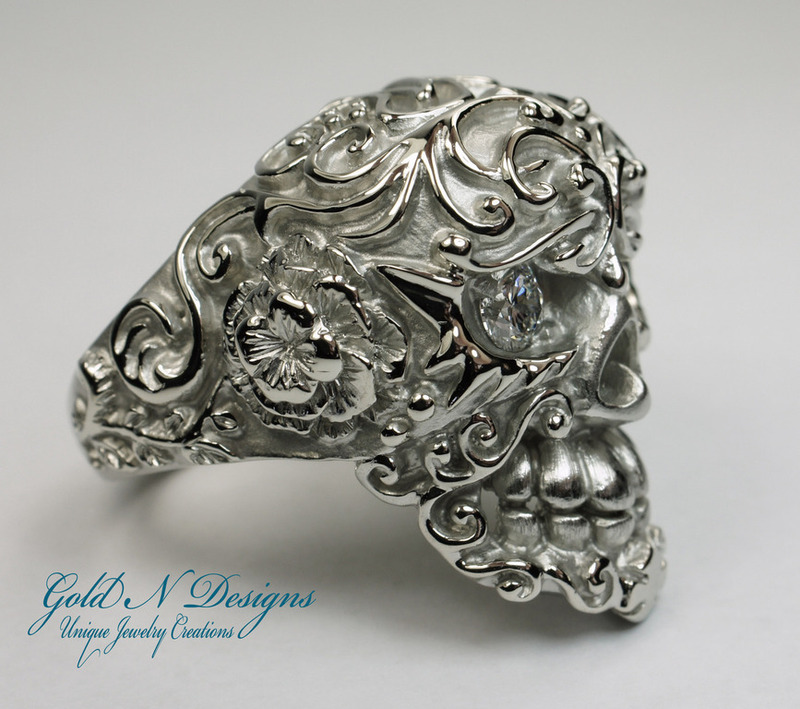 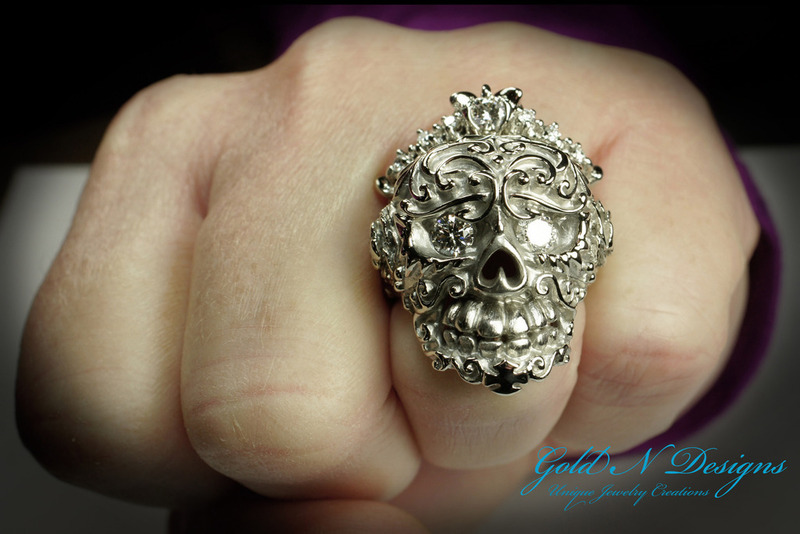 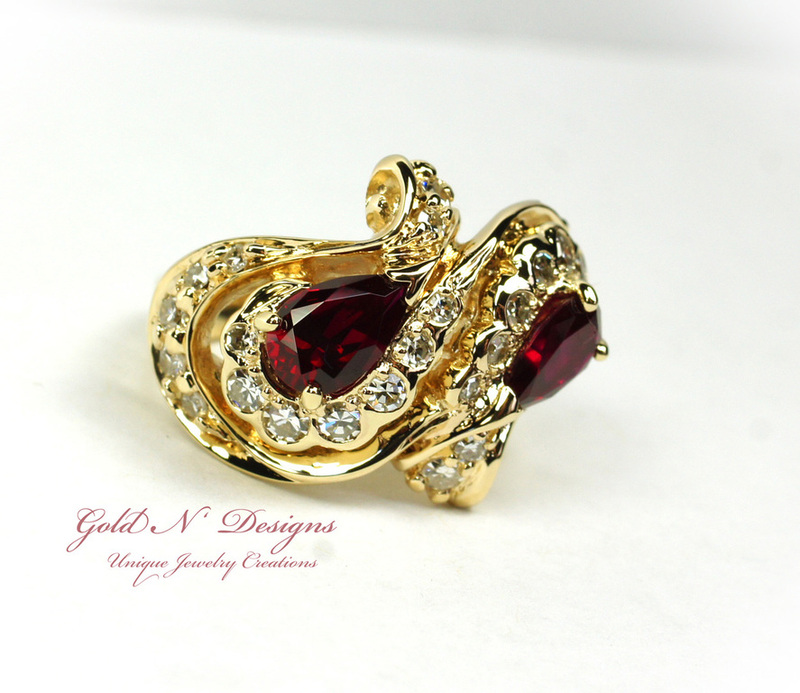 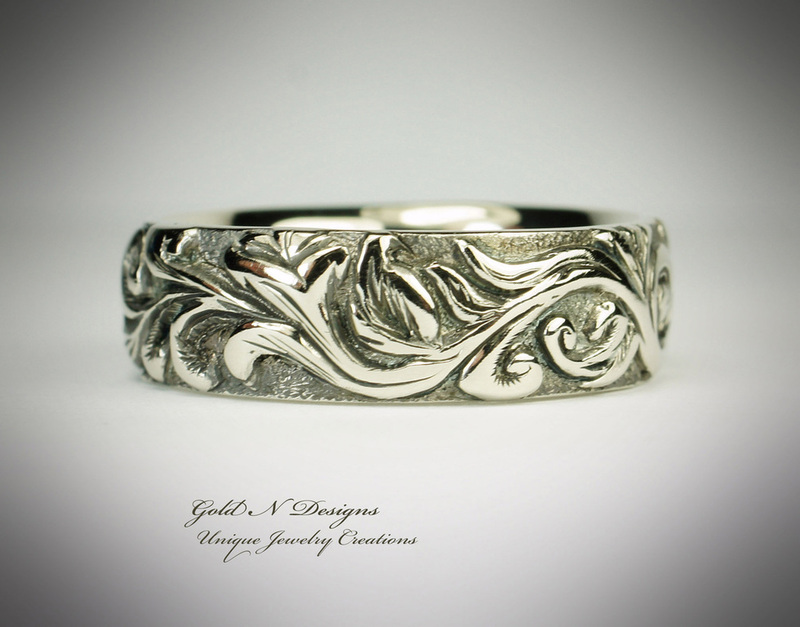 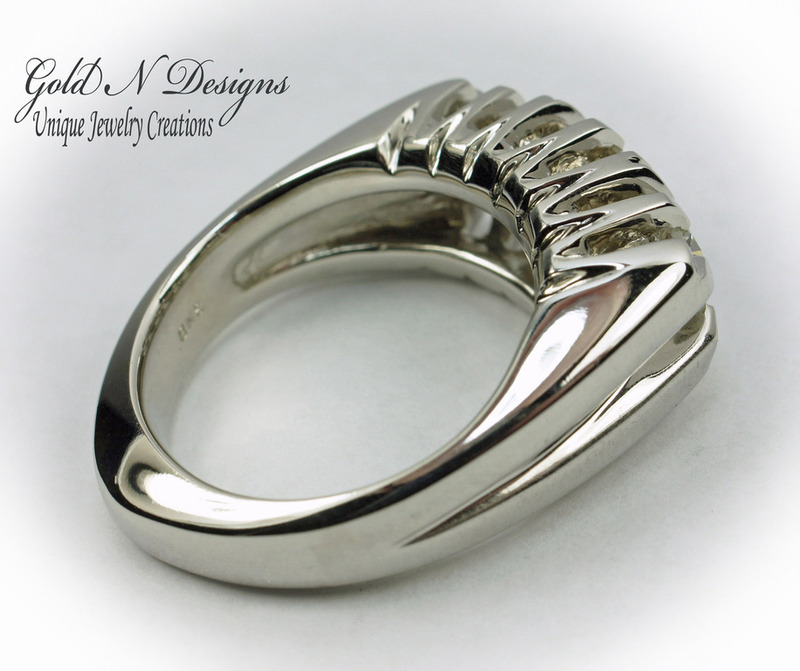 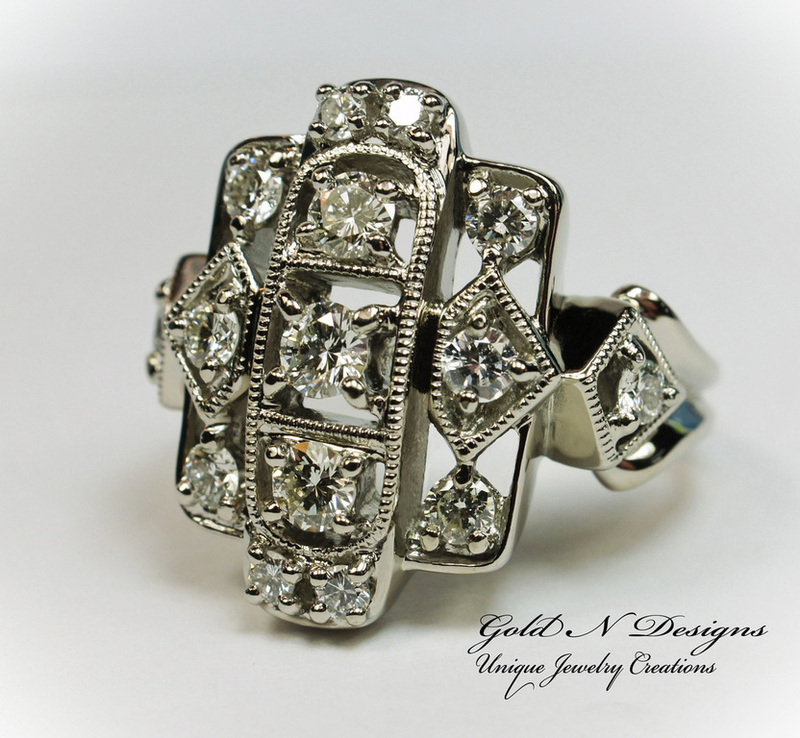 This specially created One of a Kind Gentleman ring will be treasured for generations. 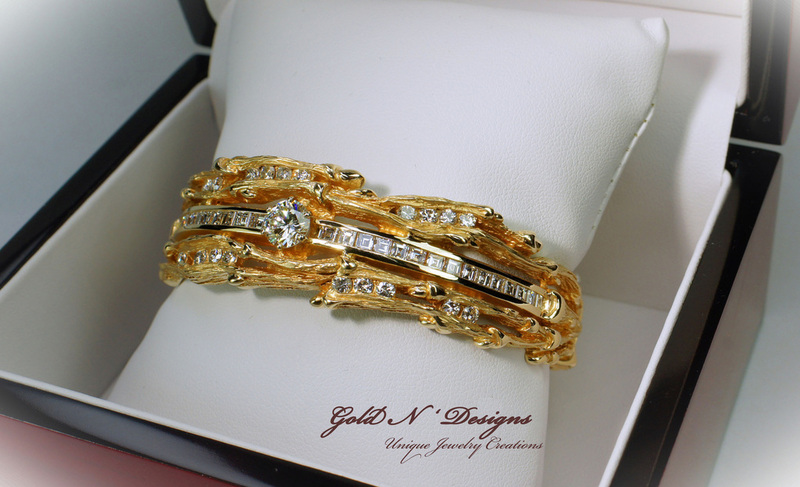 Diamonds and Gold were provided by the client. 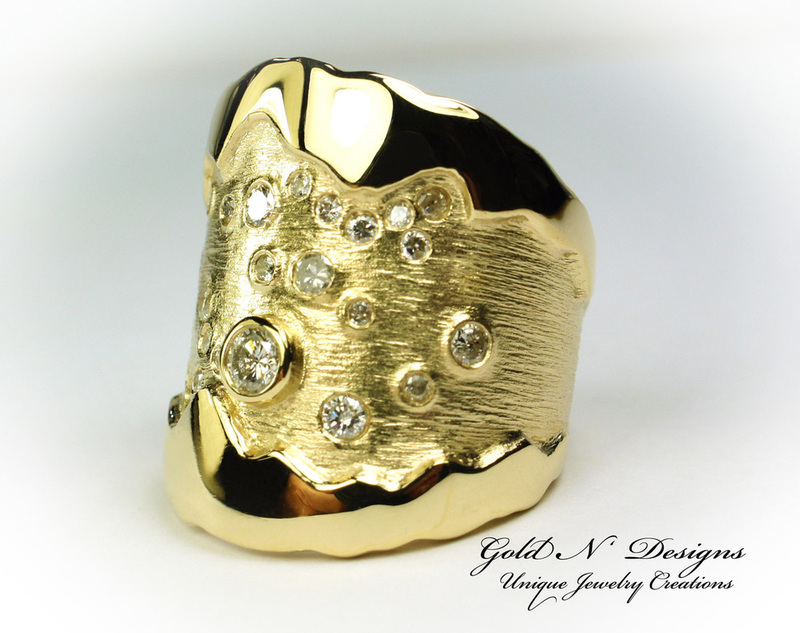 Take a look at our latest Blog post featuring this ring and the topic of, "Resources, Style and Trends" on the 'Gold N' Dust' blog. 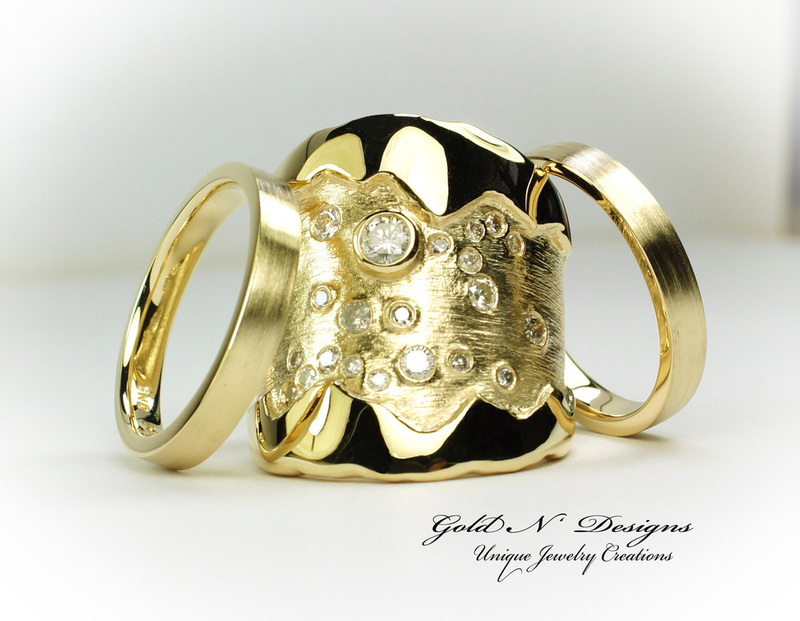 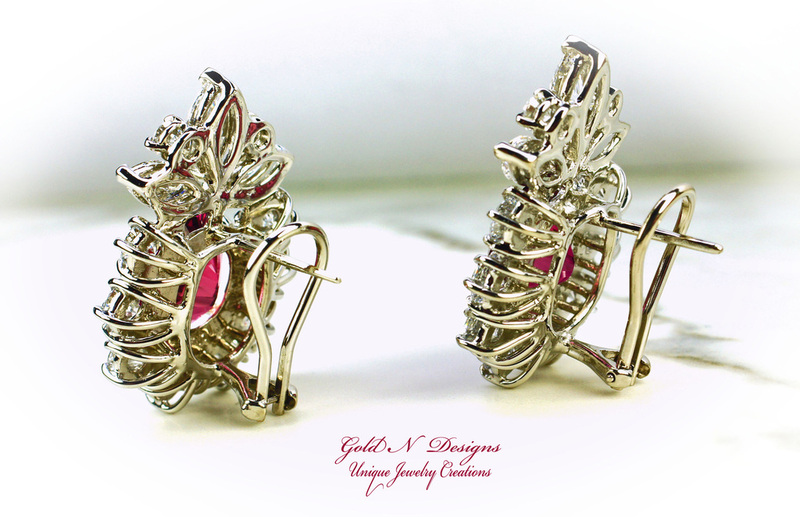 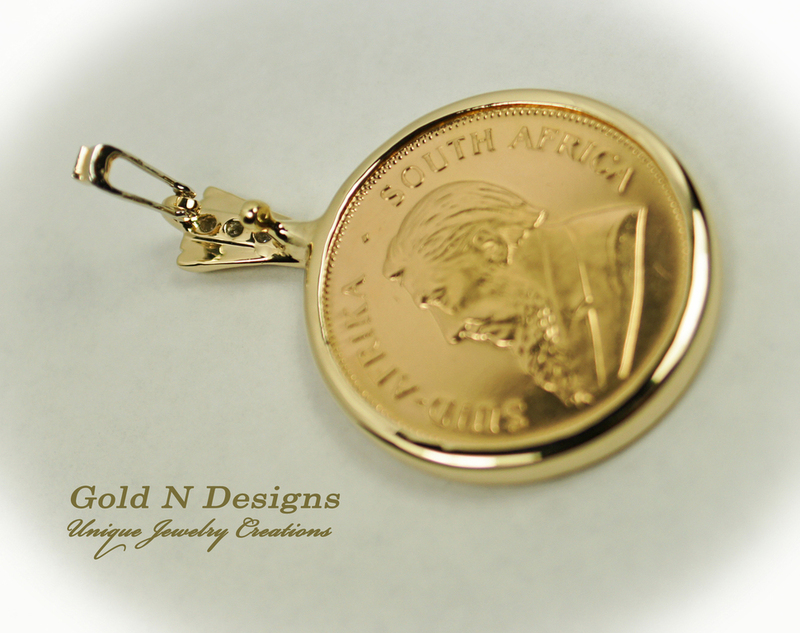 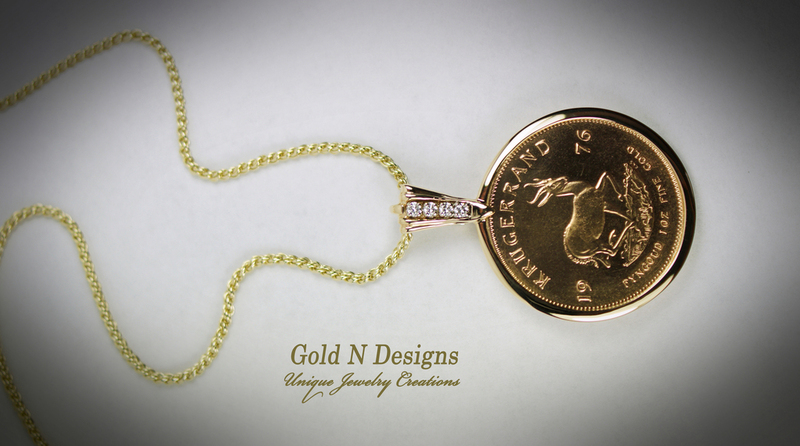 Welcome to the Gold n ' Designs website. 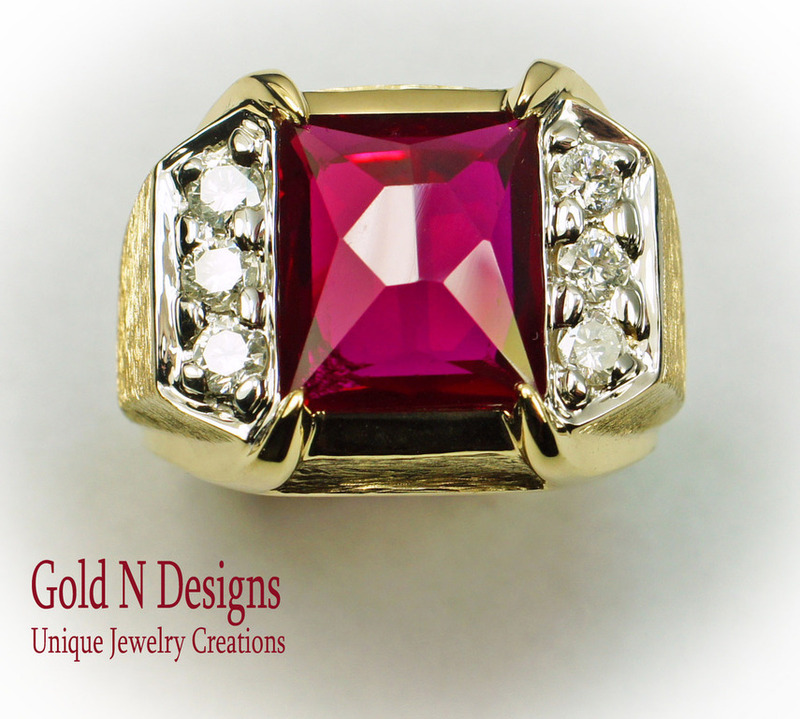 Our attention to quality and service has made us Unique in our industry. 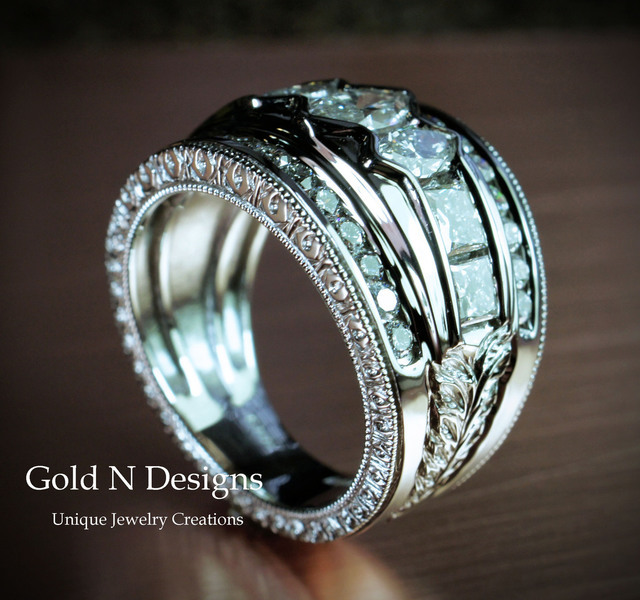 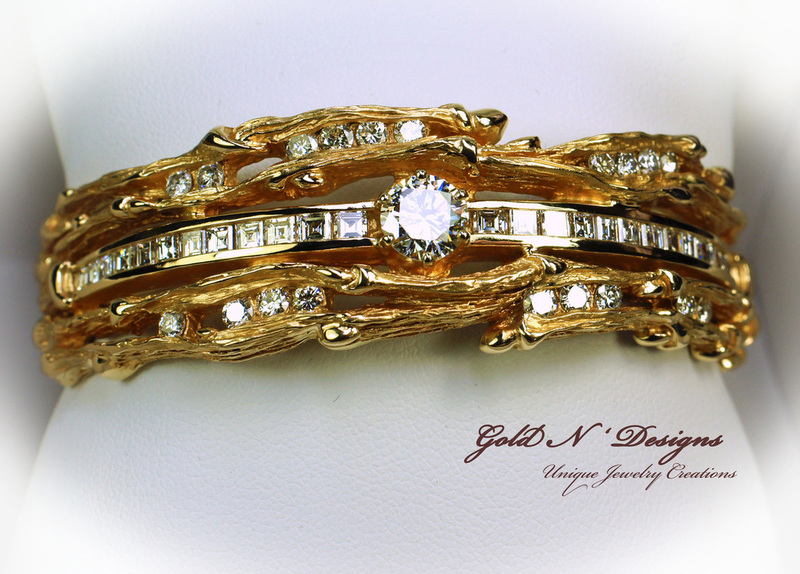 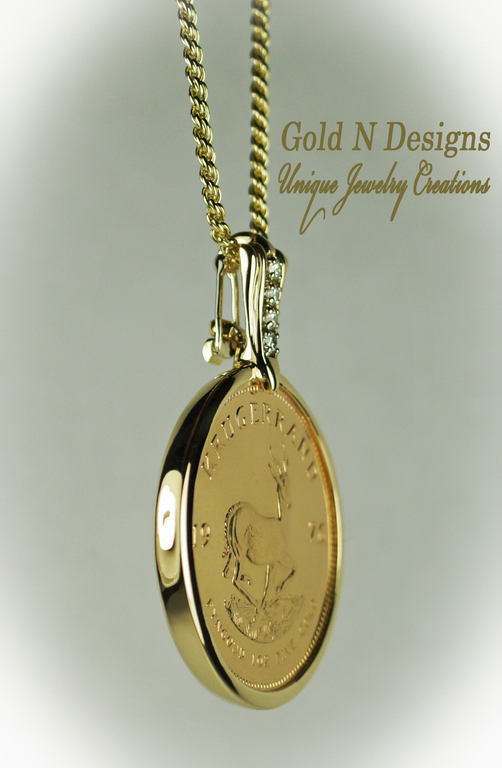 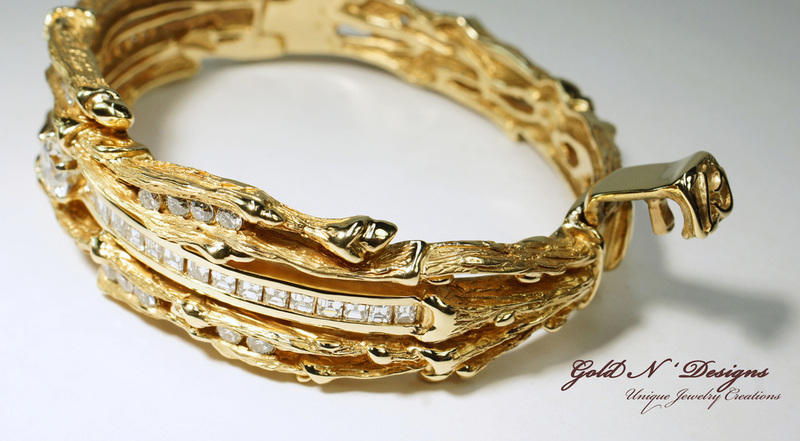 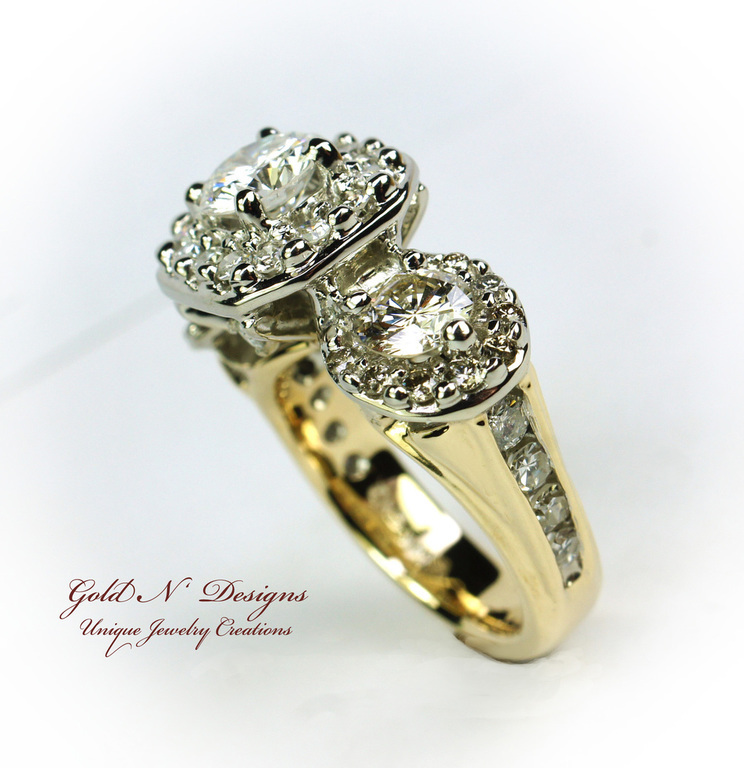 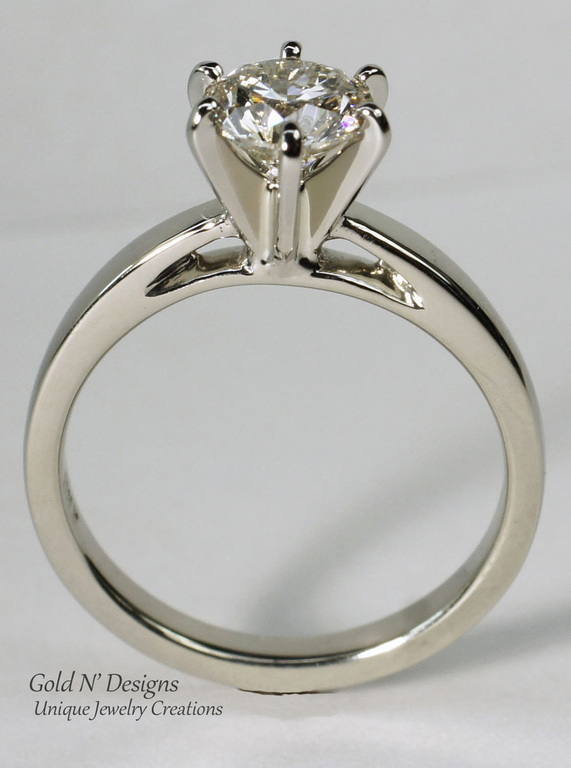 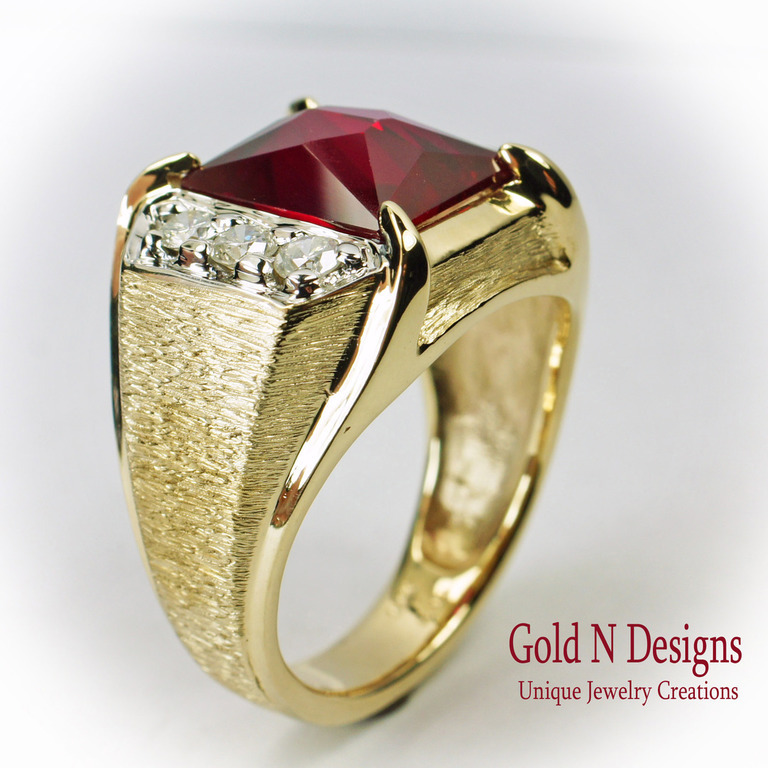 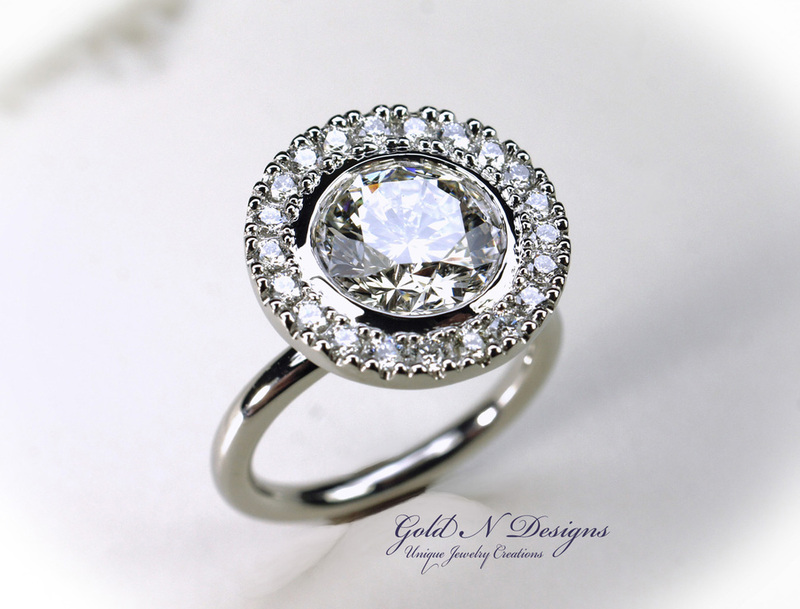 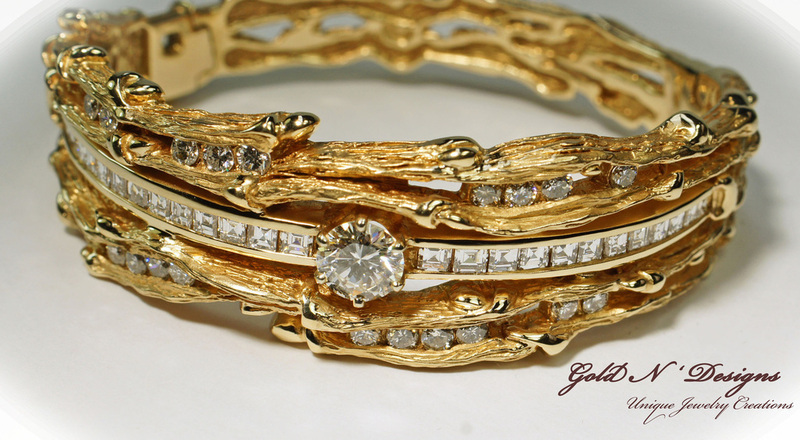 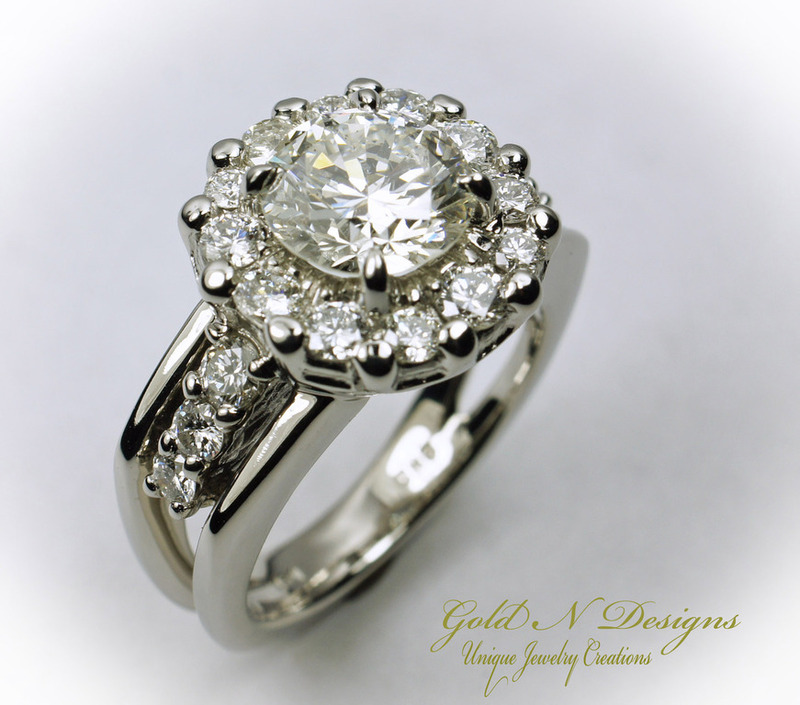 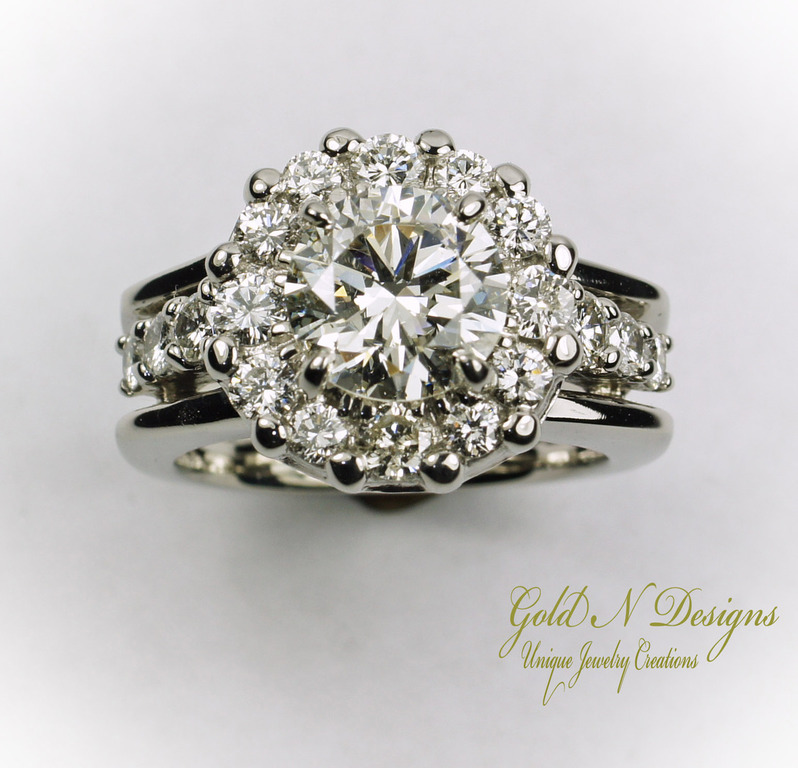 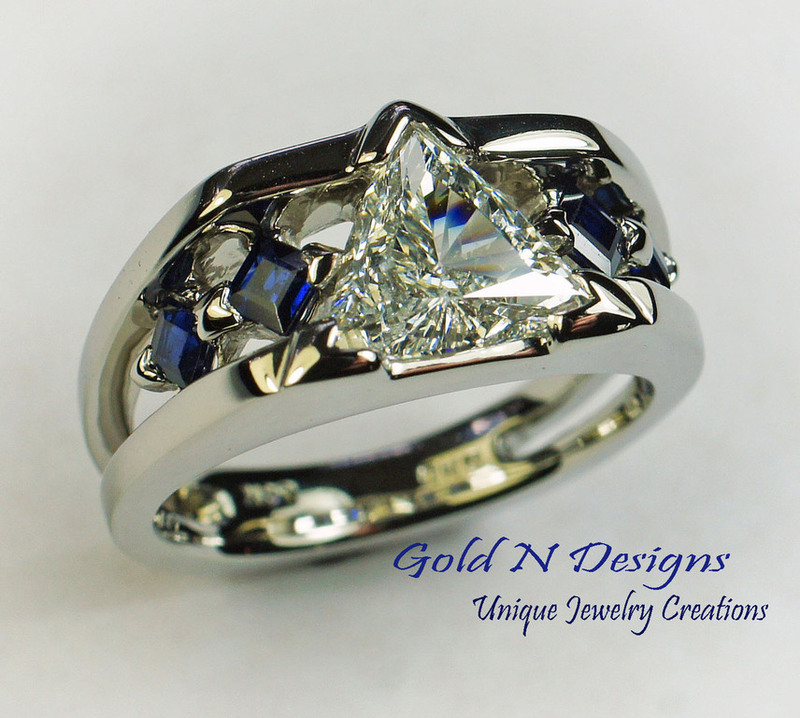 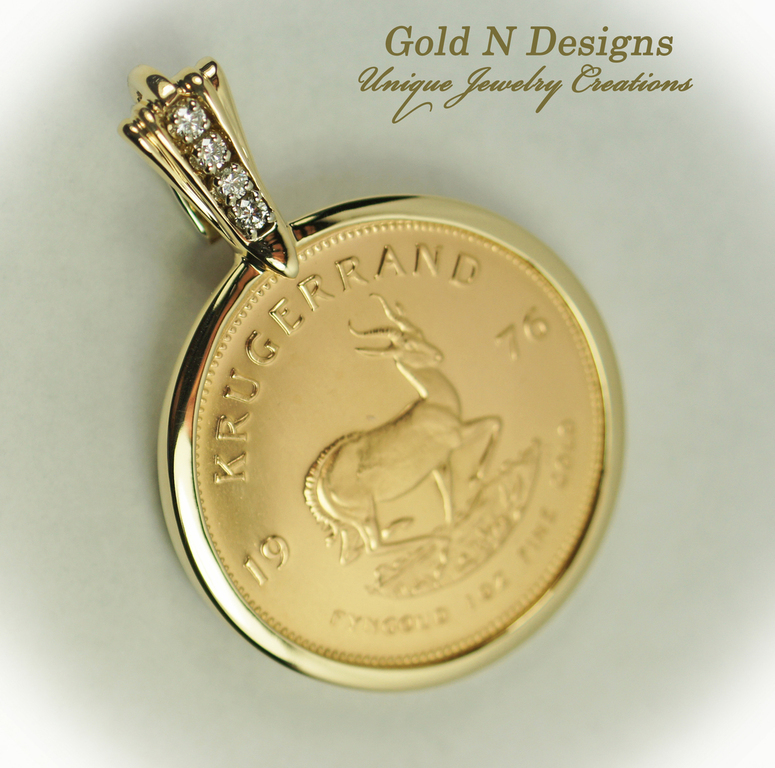 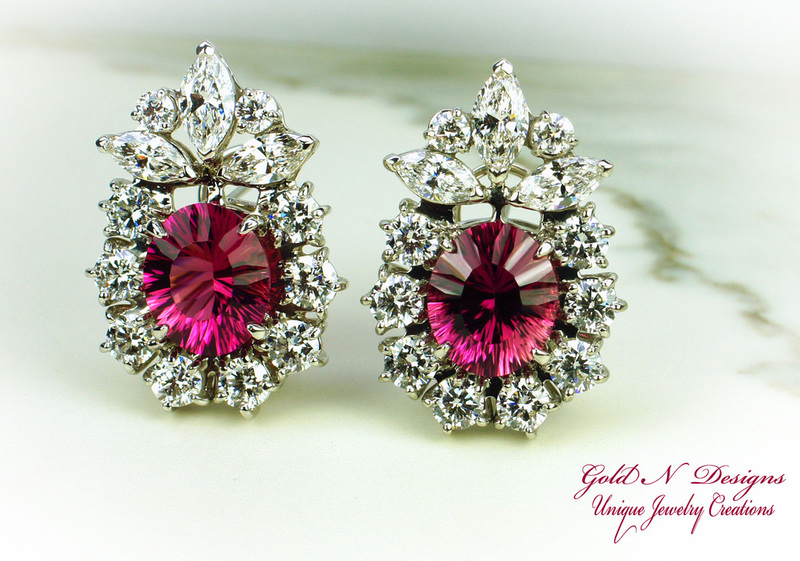 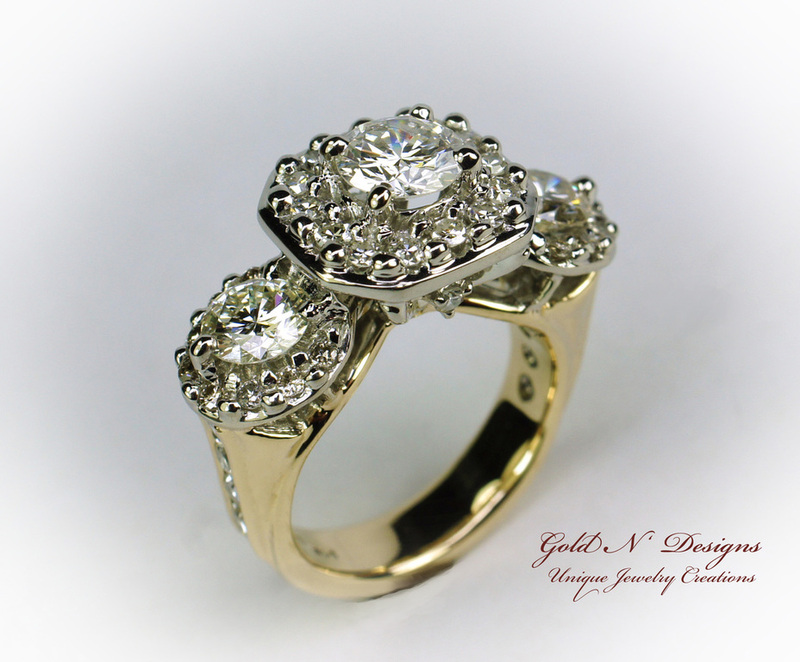 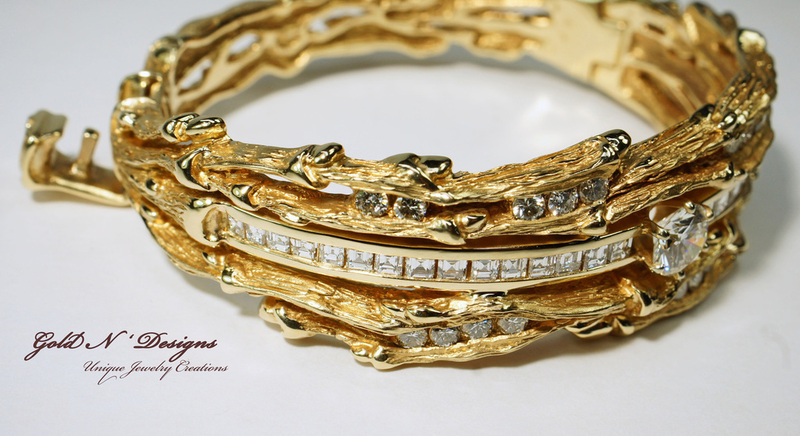 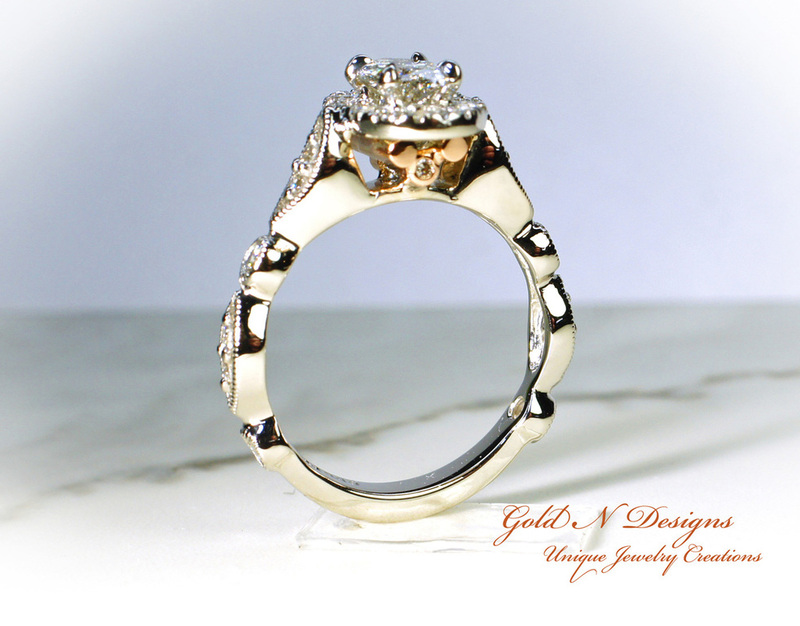 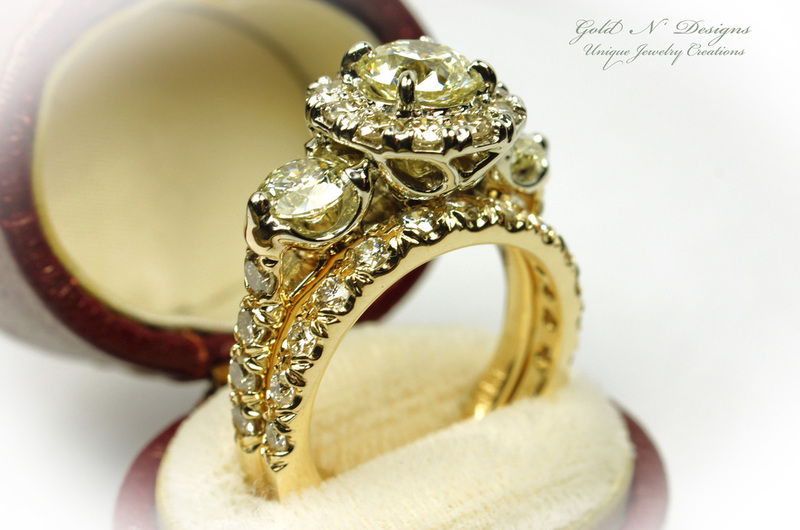 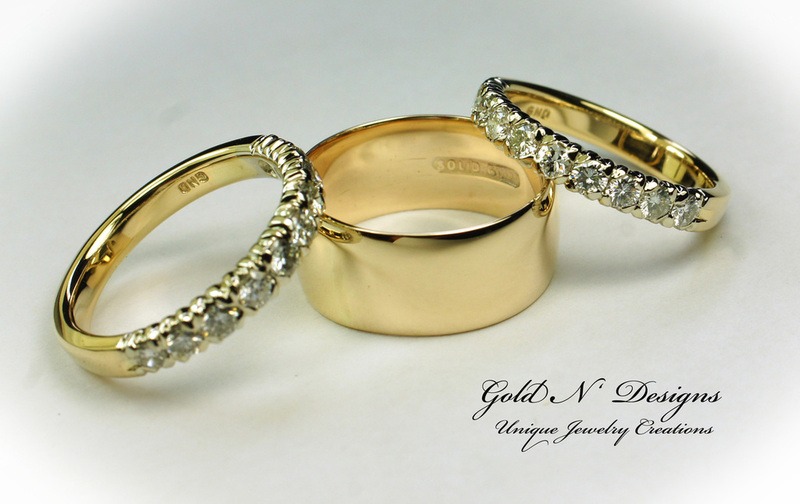 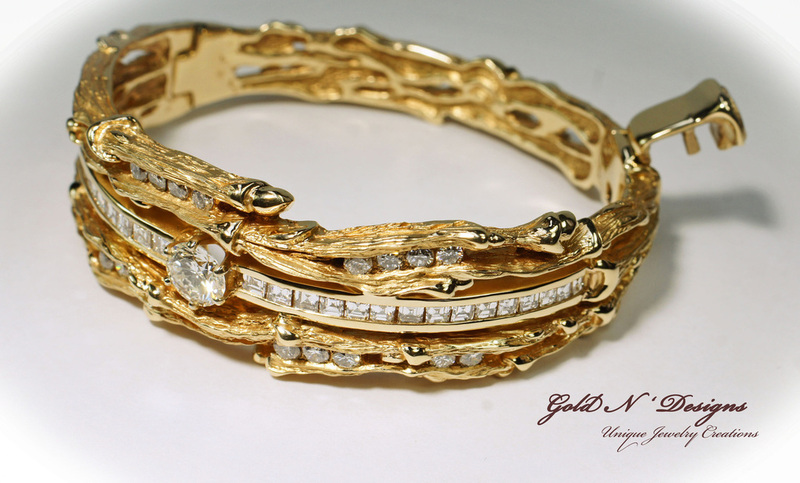 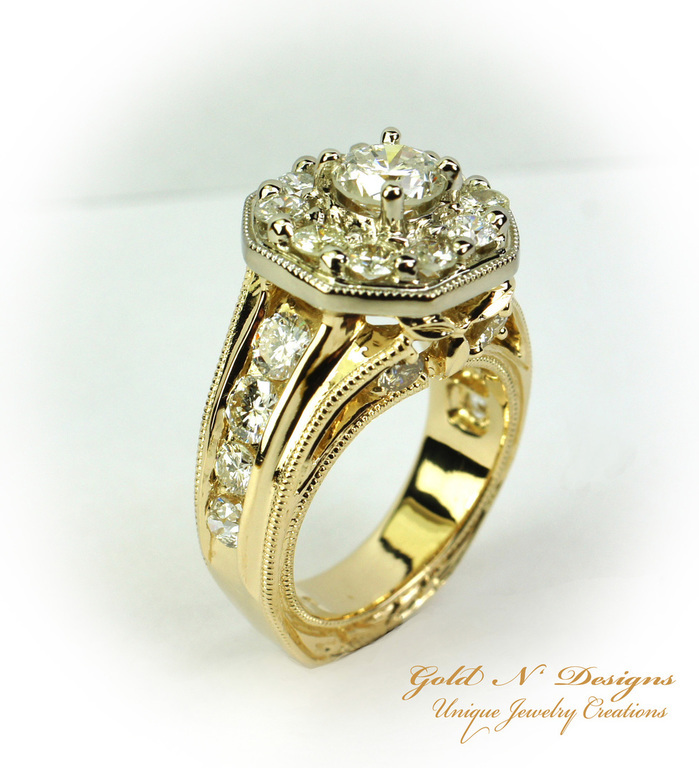 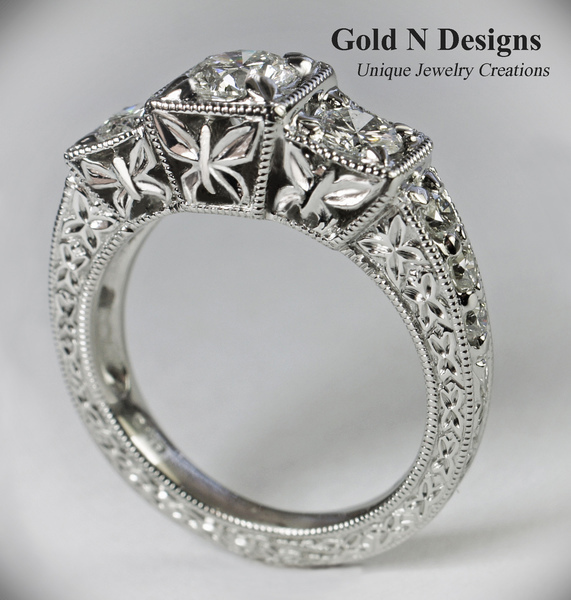 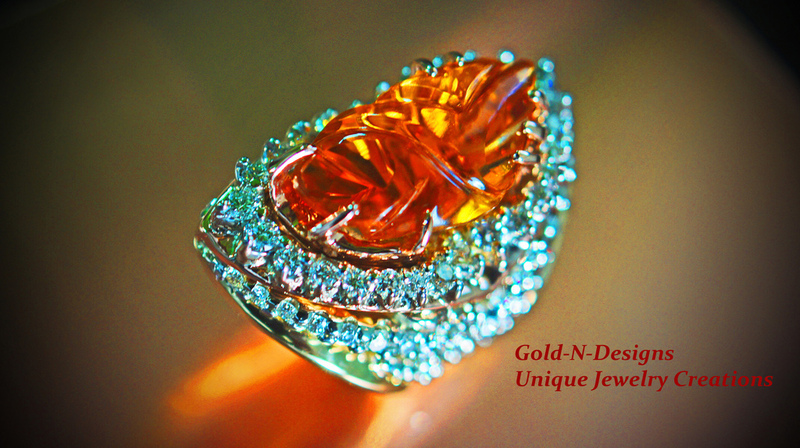 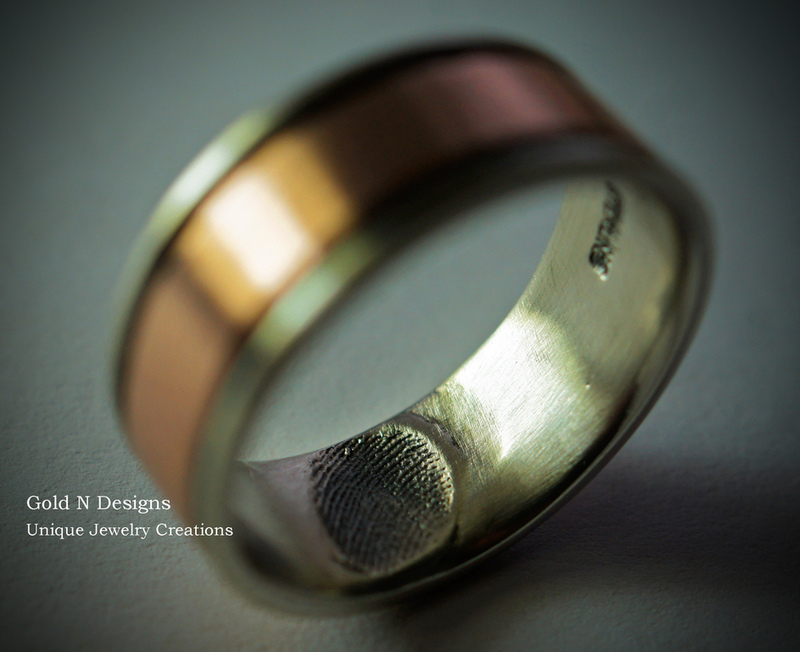 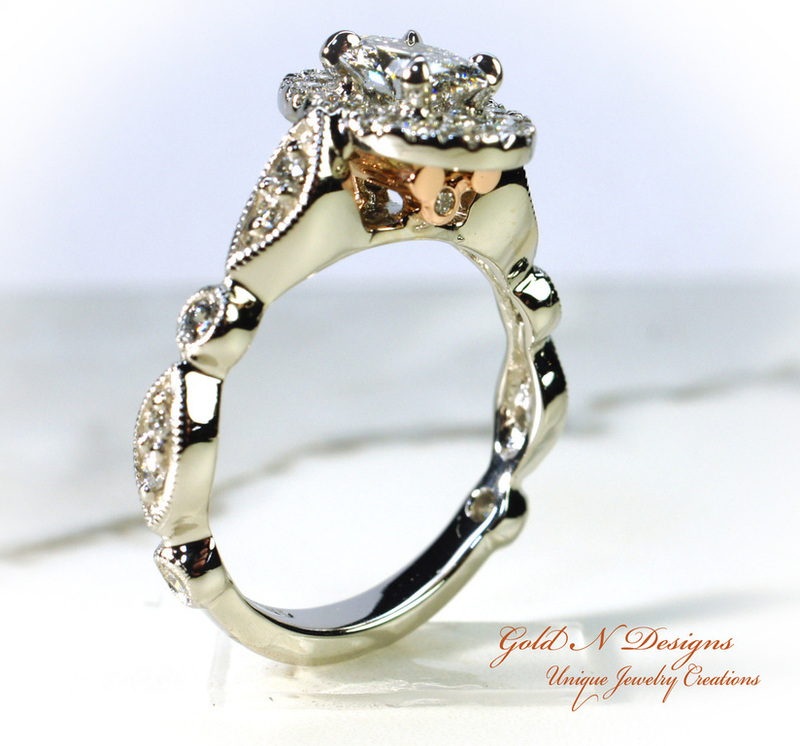 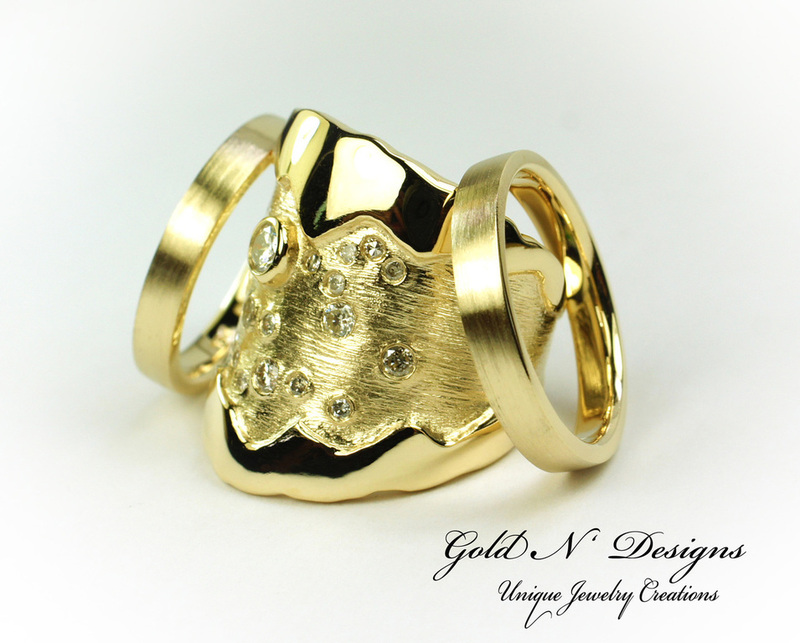 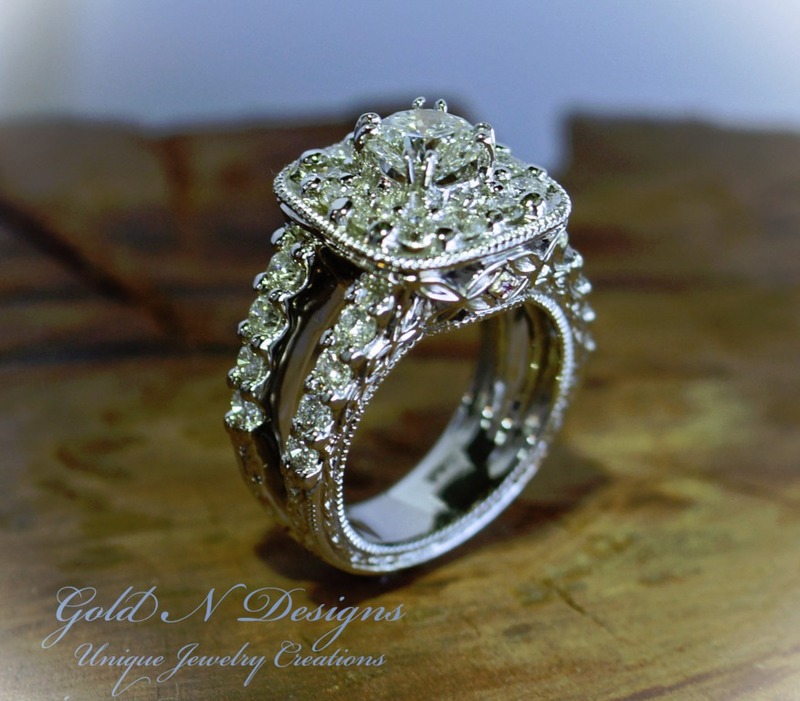 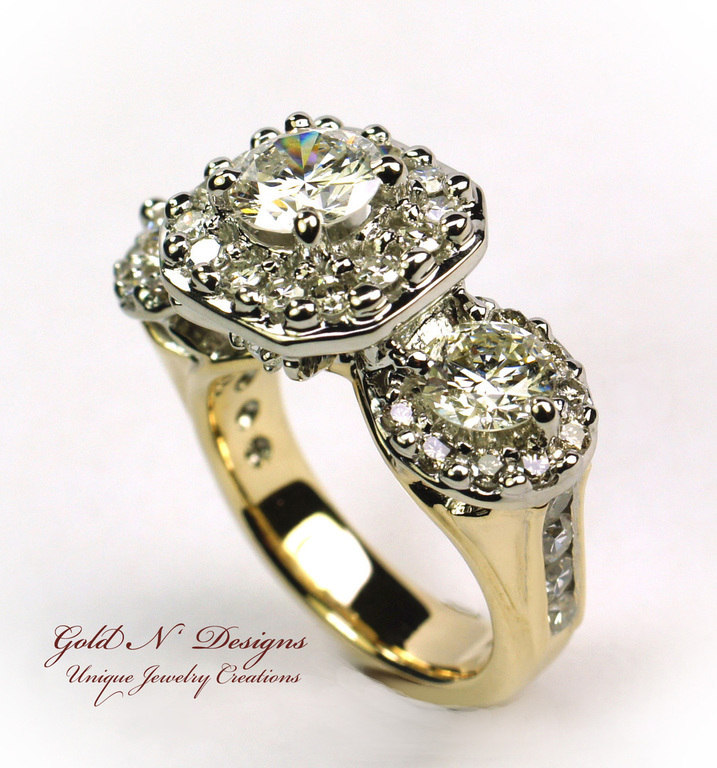 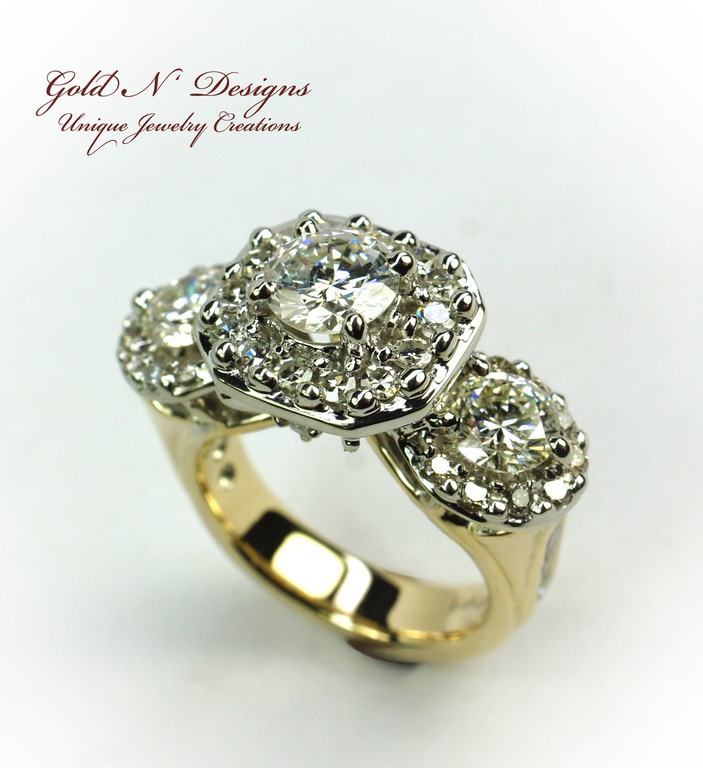 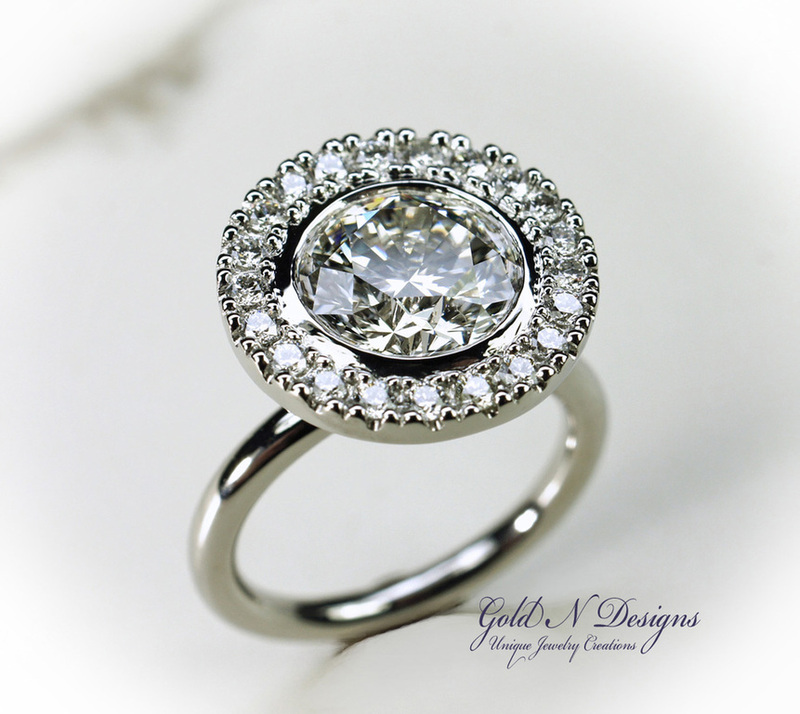 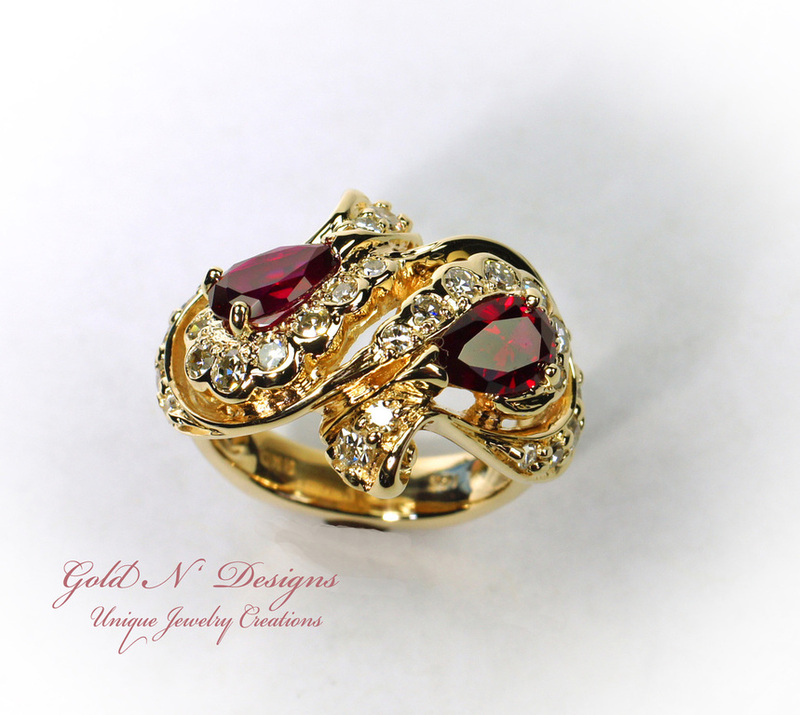 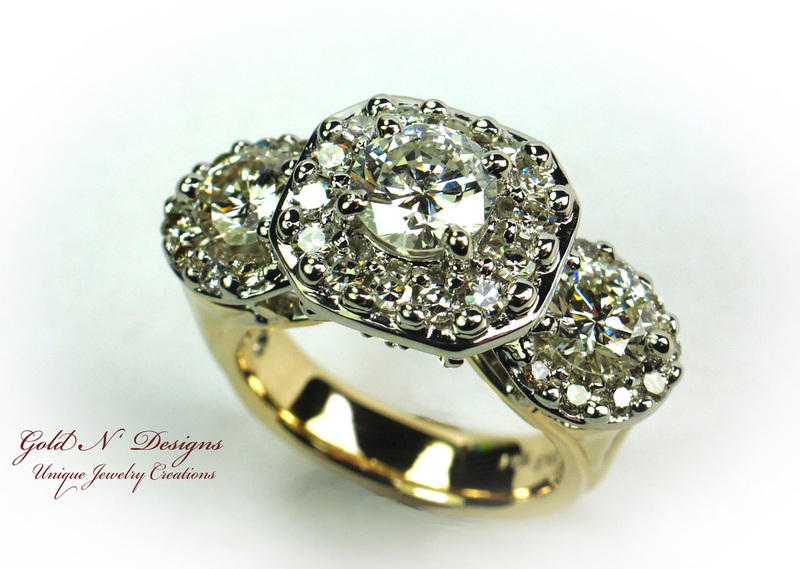 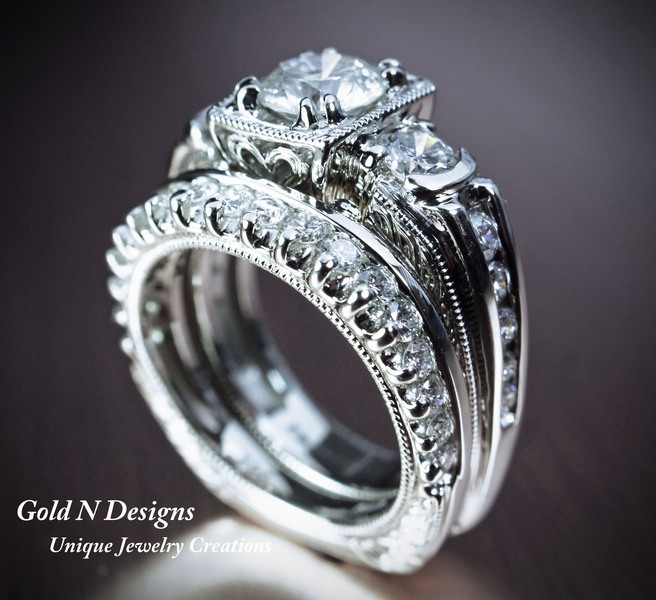 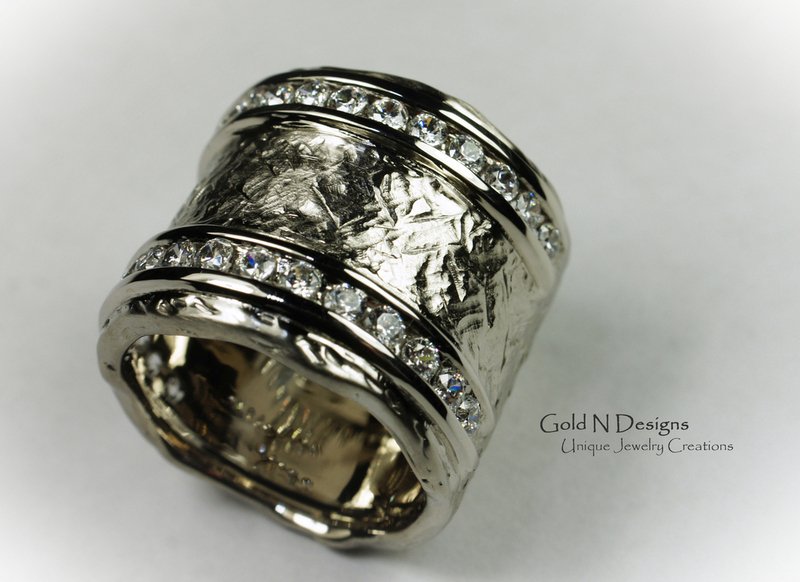 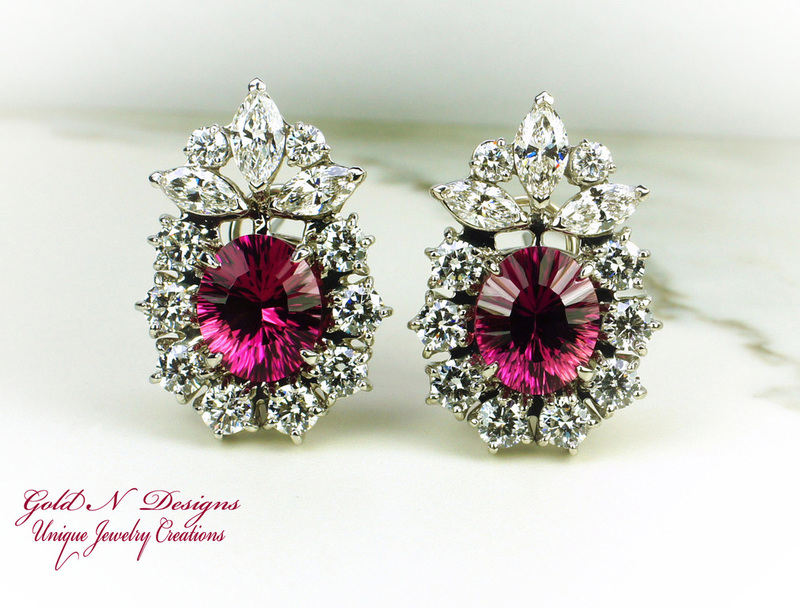 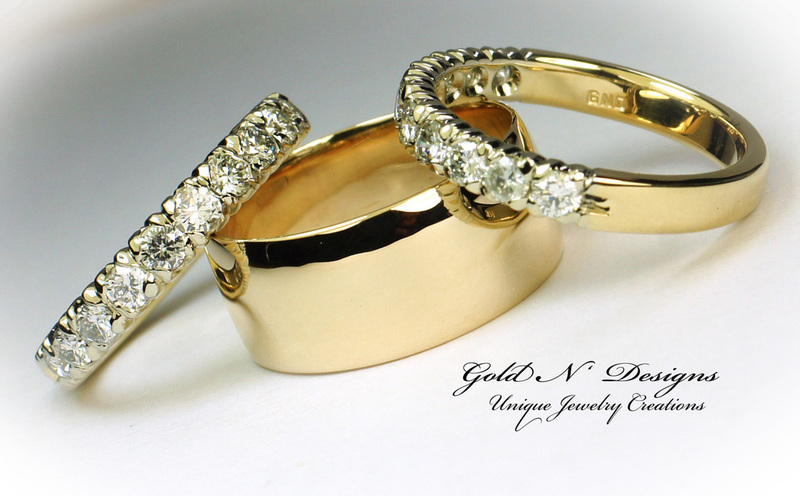 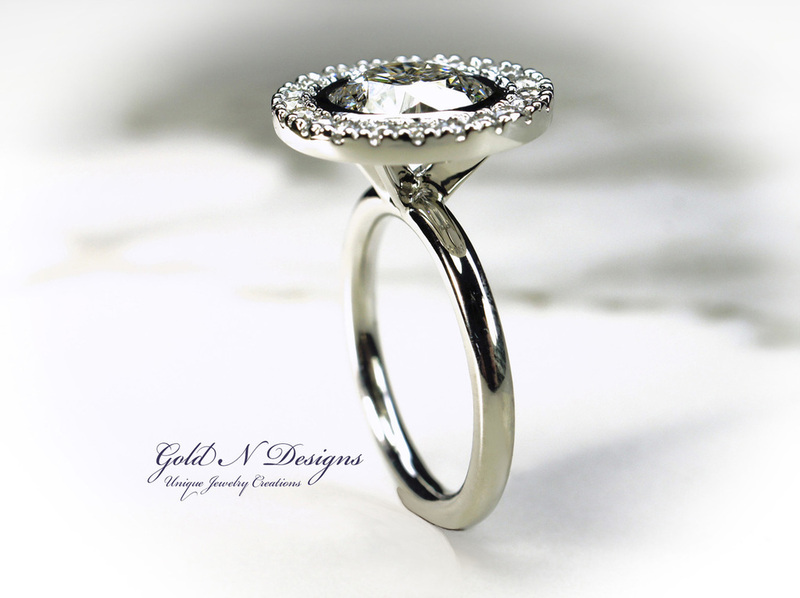 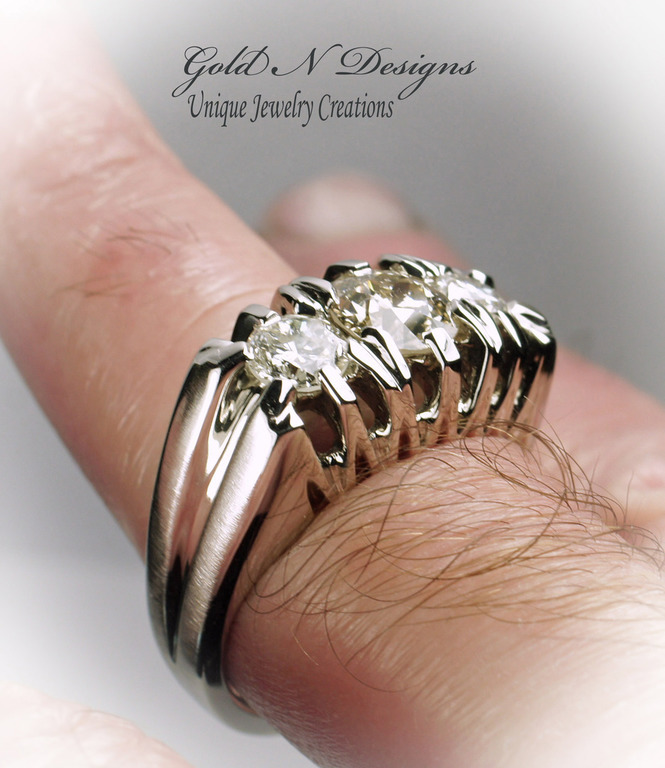 At Gold N' Designs we constantly strive to exceed your expectations. 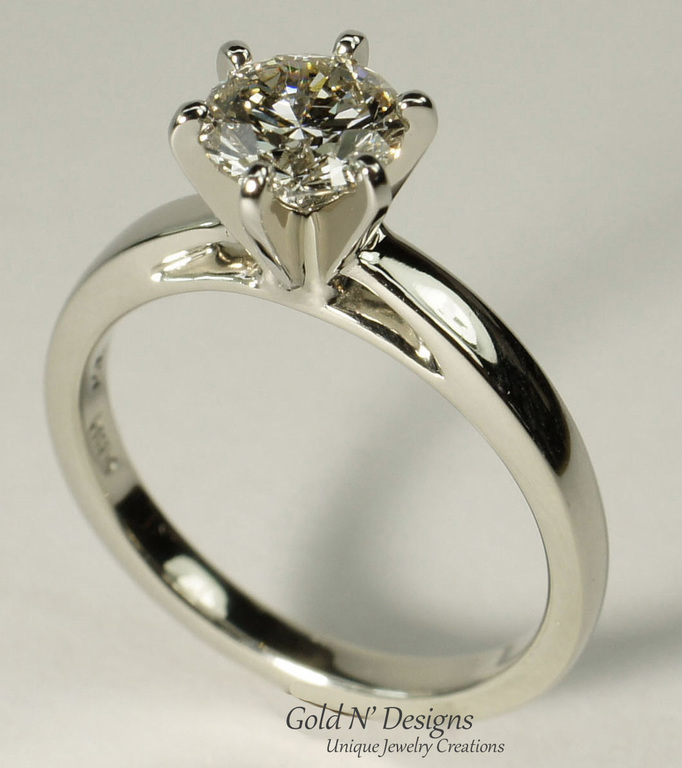 Use our website to get detailed information about what we have to offer you . 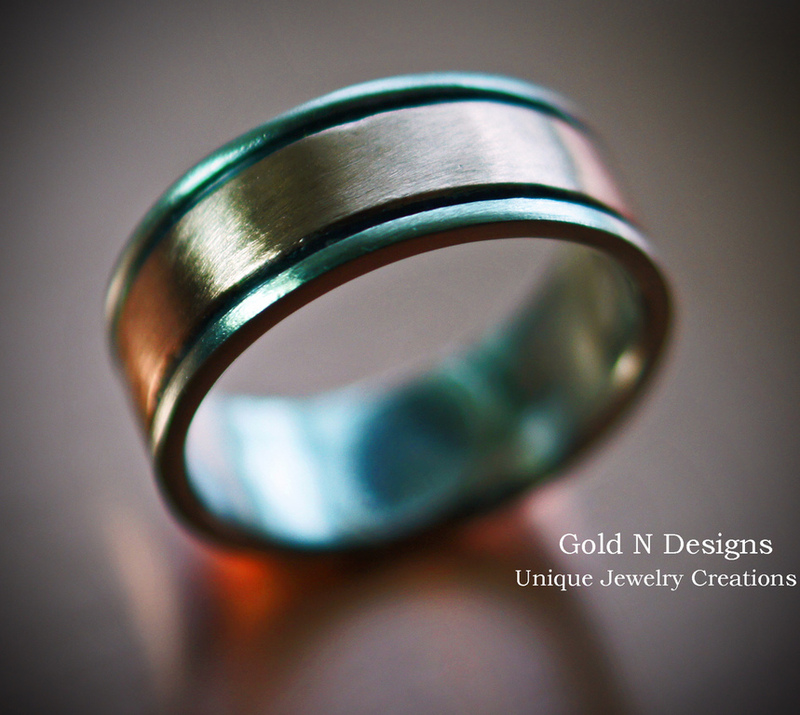 We are looking forward to working with you.